Born in Pine Bluff AR, the Jones family moved to El Dorado where his father owned and operated The People’s Café. As a boy, Jones was talented at drawing and construction. He built tree houses and underground forts and “drew on everything.” He enrolled at the University of Arkansas in Fayetteville in 1938 and was in the Navy during WWII. 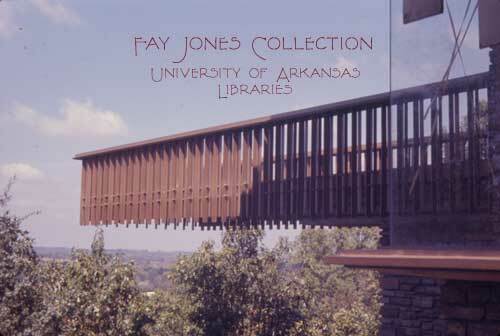 In 1945, Jones returned to Little Rock where he worked as a draftsman for an architectural engineering firm. He was encouraged to come back to the University of Arkansas in 1946 to enroll in the new architecture program started by John Williams. 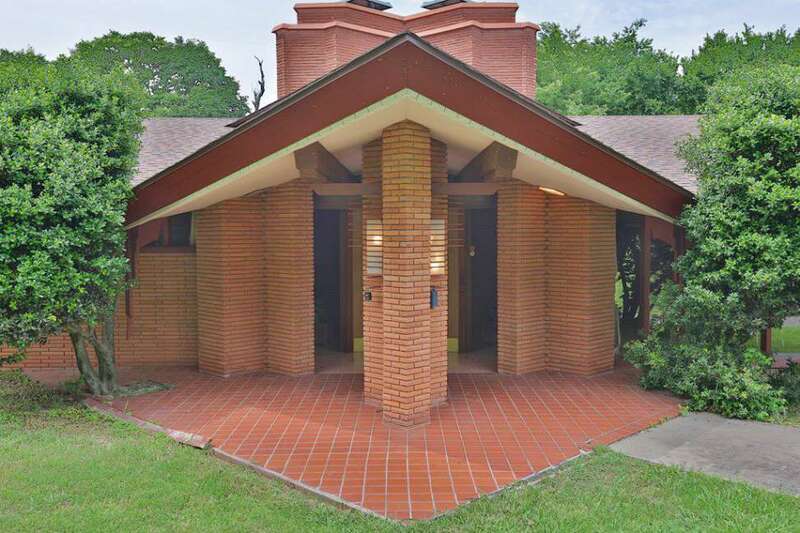 After graduating in 1950, Jones was accepted into the graduate program at Rice University, where he finished his Masters of Architecture degree in 1951. From 1951 to 1953, he taught at the University of Oklahoma, working with Bruce Goff. In 1953, Jones came back to Arkansas to begin teaching and practice. In 1966, he became the first chair of the architecture department, and in 1974, he was named the first dean of the new School of Architecture. Fay Jones met his mentor, Frank Lloyd Wright, in 1949 at the AIA Annual Convention in Houston, where Wright received the Gold Medal. 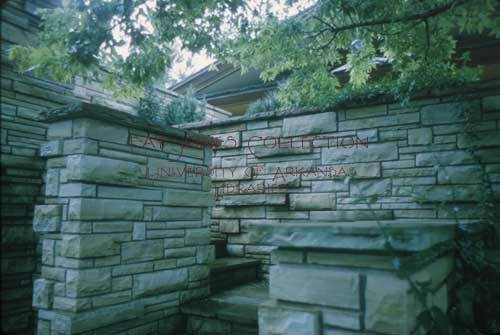 They met again at the University of Oklahoma, and Wright invited Jones to Taliesin West during Easter of 1953. 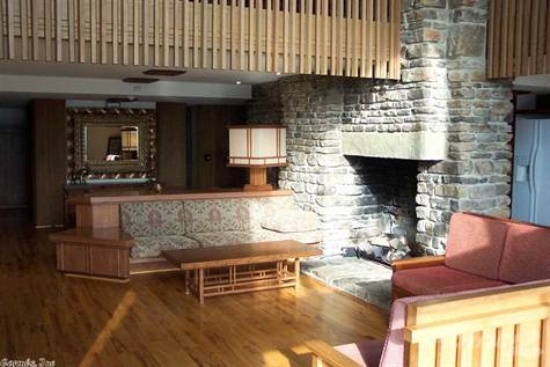 The next summer, Jones was invited to become an apprentice at Taliesin East. 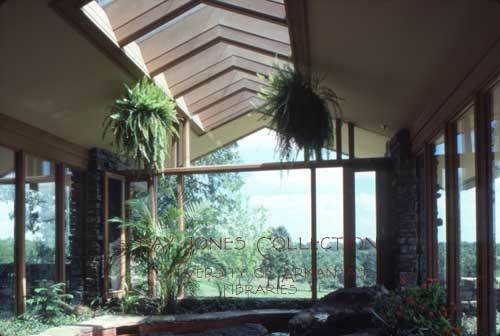 Both Jones and his wife became members of the Taliesin Fellowship, returning annually for the next ten years. 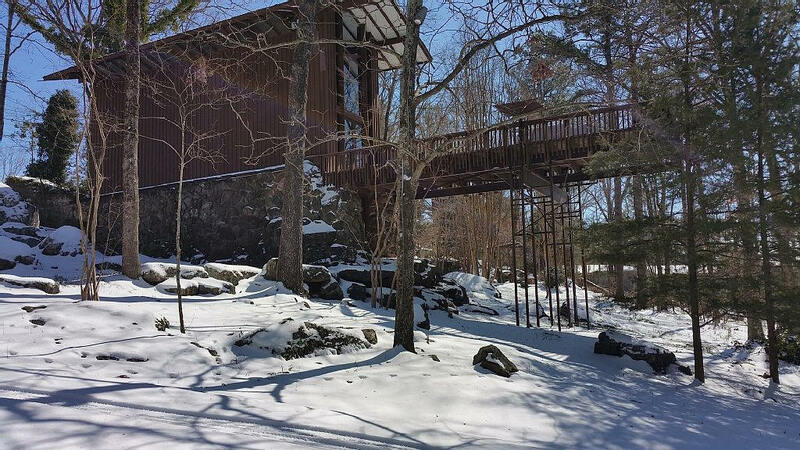 Jones won AIA gave Honor Awards for Thorncrown Chapel, Pinecote Pavilion at the Crosby Arboretum in Picayune, Mississippi, and the Roy Reed House in Washington County. 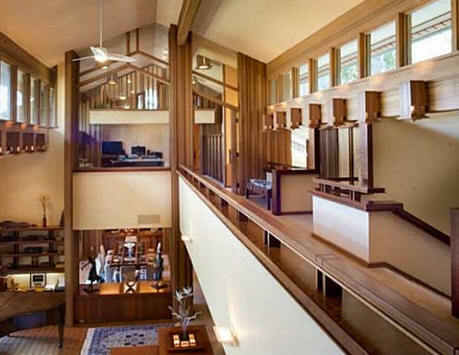 In 2000, the AIA recognized Thorncrown Chapel as the fourth most significant structure of the twentieth century. 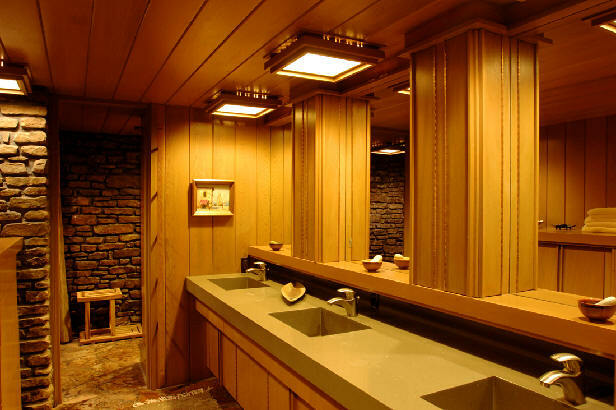 In 2006, Thorncrown was named to the AIA’s exclusive list of Twenty-five Year Award buildings. Jones was awarded honorary doctorates from Kansas State University, Hendrix College, Drury College, and the University of Arkansas. In 2009, the School of Architecture at UA was named in his honor. He received the national AIA Gold Medal in 1990. Bio adapted from the Encyclopedia of Arkansas. Many thanks to Catherine Westergaard Cramer for researching Jones. 1947 - The Hancock House. Sold in 2014 to Kelly and Kimberly Christensen. 1948 - The Jake Davis remodel. Unbuilt. 1950 - The Ralph and Mary Barnhart House, 634 North Oliver Avenue, Fayetteville AR. 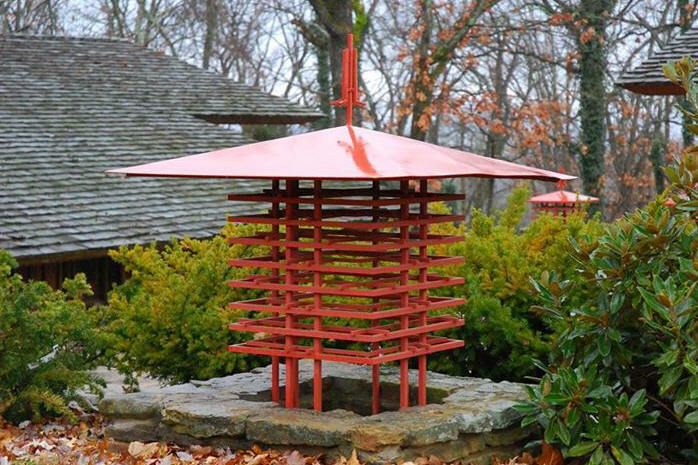 Designed with Michael Stousland, Jones' professor at the University of Arkansas. Sold to Michael G. Parker. 1950 - The William Pryor House, 1008 Trust Street, Fayetteville AR. Significantly altered, although still Modernist, in 2005. Sold in 2012. 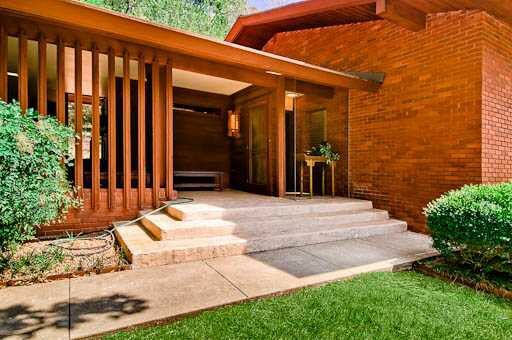 Listed as the first home designed solo by Jones. 1950 - The A. B. Burdick House, 1647 West Maple, Fayetteville AR. Sold to the Opal Hart Trust. Sold to Mitchell and Judy Laningham. 1950 - The Harold Hantz House, 855 West Fairview Drive, Fayetteville AR. Designed with Ernest Jacks while they were still students. Listed on the National Register. Sold to Dana Durst Lawrence, who leased it to college students. 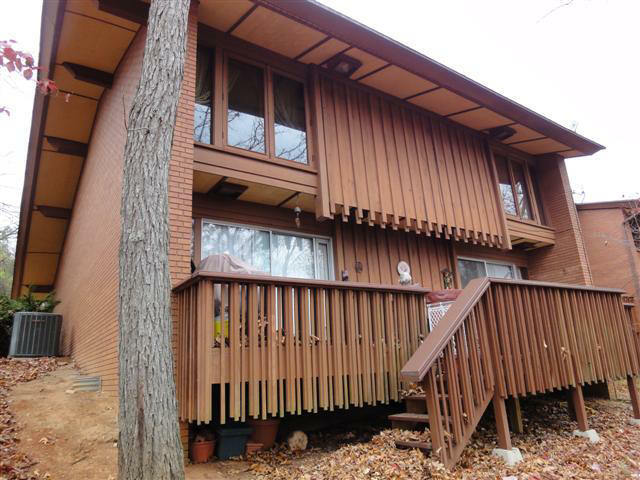 When the deck rotted it was replaced by David Hantz' son with columns and beams. Will be auctioned October 2015. 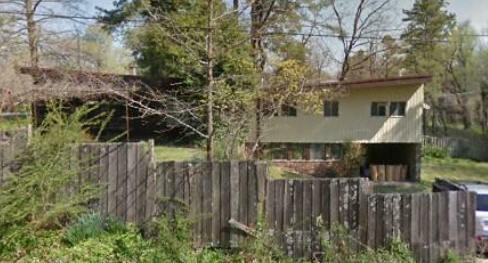 1952 - The Richard Hostetter House, 1574 West Maple Street, formerly 508 North Gray, Fayetteville AR. Sold in 2008 to William Kidder. 1952 - The Gordonia Project, House and Community, Marion AR. Unbuilt. The project was named for James Gordon who wanted to use innovative building materials to create a model house and community structures. John Williams was initially involved. 1954 - Guerdon and Dorothy Nichols, Fayetteville, AR. Unbuilt. 1954 - The Bullinton residence, Fayetteville AR. Unbuilt. 1954 - The LeMon Clark House, Fayetteville AR. Unbuilt. 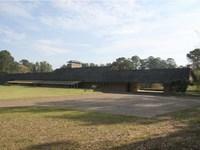 Intent was to build spec houses based on a design ultimately used in 1956 for the Sequoyah project. 1954 - The William Gant House, Fayetteville AR Unbuilt. 1954 - The William and Marion Orton House, 1641 West Halsell Road, Fayetteville AR. Deeded to son Ben Orton. 1955 - The Robert Bryant House, Hot Springs AR. Unbuilt. 1955 - The Burdge Green House, 514 West Locust Street, Stilwell OK. Converted to Arvest Bank. 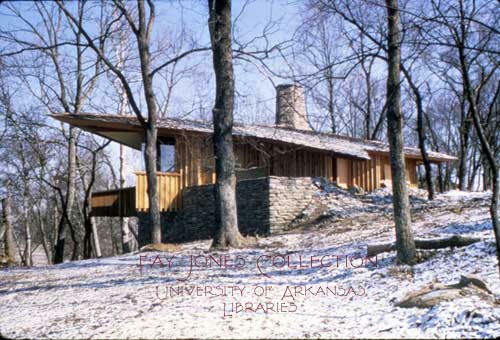 1955 - The E. Fay and Mary Elizabeth "Gus" Jones House, 1330 North Hillcrest Avenue, Fayetteville, AR. The Jones daughters donated the house to the University of Arkansas College of Architecture in 2015 which did a restoration. 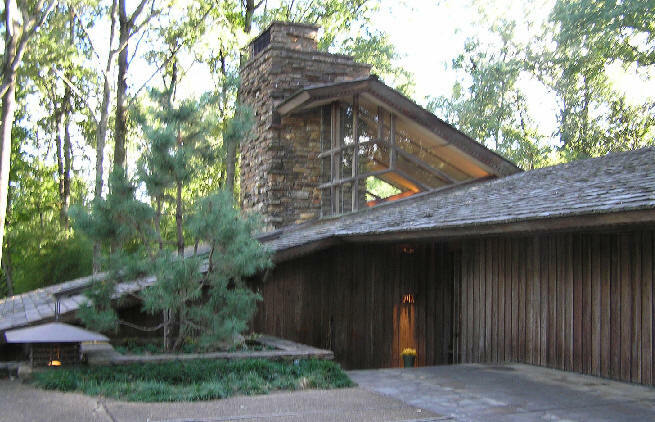 1955 - The John and Ann Sugg House, 1001 North Sunset Drive, Fayetteville AR. 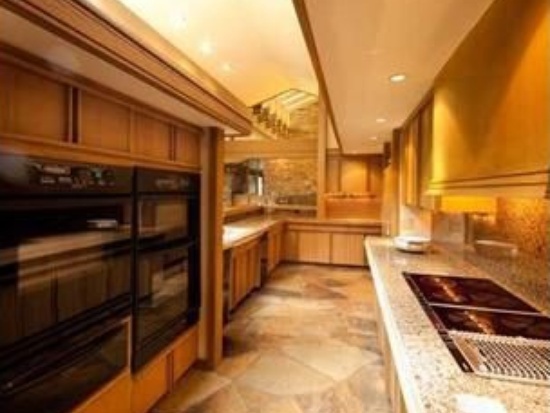 The house was not built as designed by Jones and he did not supervise construction. The house became a duplex and was re-addressed as 1001 & 1003. 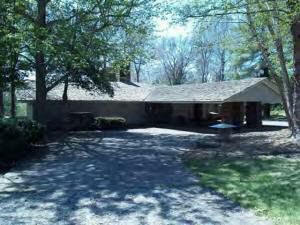 Sold to Harry and Laura Huber who have turned it back into a single family home. 1956 - The Richard and Jo Bain House, 823 North Mock Street, Prairie Grove AR. Sold to Mike Rush in 2003. 1956 - The Richard and Alma Brothers House, 665 North Gray Avenue, Fayetteville AR. Founding director of University of Arkansas Schola Cantorum. Sold in 2007 to Charlie Rausch. Sold to Kenneth and Elizabeth Allen. who plan a full restoration. 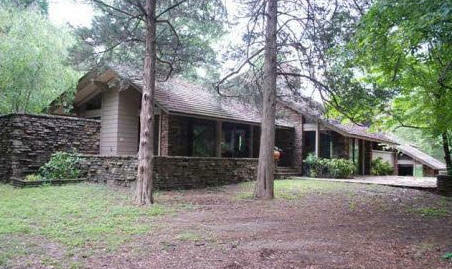 1956 - The Adrian Fletcher House, 6725 East Huntsville Road, Fayetteville AR. 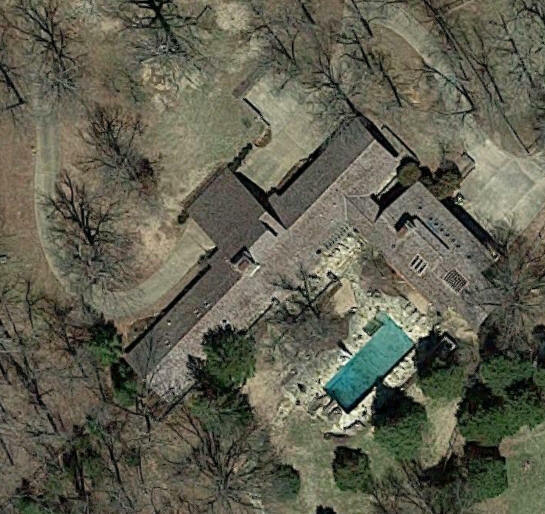 Bill Clinton moved there in 1973 when he was a law professor at the University of Arkansas. 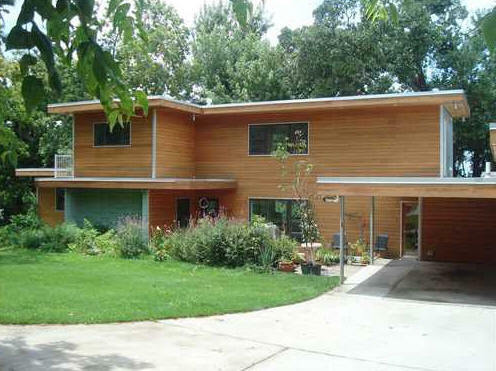 Sold in 2011 to Robert and Stephanie Dzur. Listed on the National Register in 2013. Sold to Toni Pope. Heavily damaged by fire in 2017. 1956 - The Neal Harmon House, 834 North Eastwood Drive, Fayetteville AR. Sold to Jay and Joyce Graening. Sold to Ellen Gilchrist. 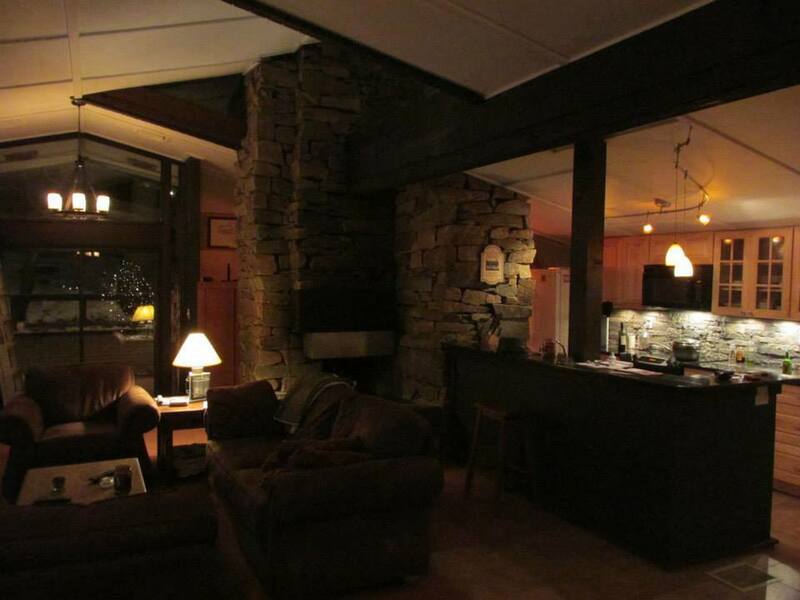 Sold in 2013 to Carole and Hunter Judkins. 1956 - The William and Betty Klusmeier House, 2200 Garner Lane, Fort Smith AR. Sold in 1985 to Paul Johnson. 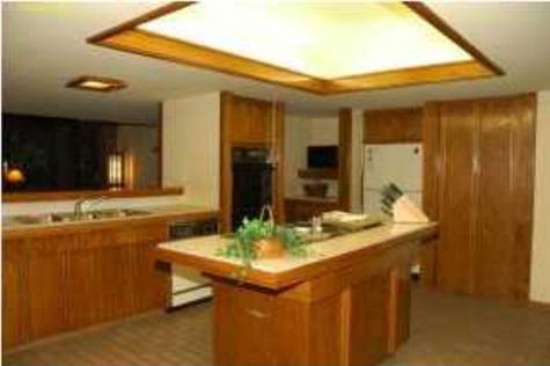 Sold in 1991 to Larry W. and Pamela Pearce. Sold in 2014 to Scott and Carol Thompson. 1956 - The Robert A. and Helen Leflar House, aka Leflarland, 1717 West Center Street, Fayetteville AR. Deeded to Charles and Sarah Leflar. 1956 - The Murray Lewis House, Fayetteville AR. Unbuilt. 1956 - aka the Sequoyah Project, 1650 East Clark Street, Fayetteville AR. 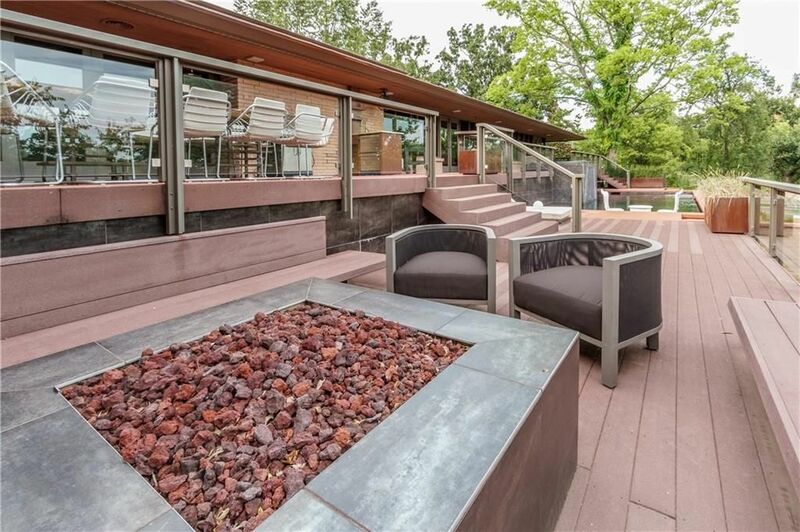 This was the house originally intended for the LeMon Clark project. Was intended to be development, this was the only house built. Jones designed the house but did not finish it. Sold in 2012, listed as DKL Interiors. Sold to Kenneth and Elizabeth Allen. 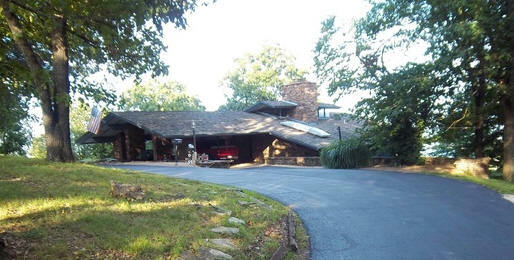 1956 - The Rex and Ada Smith House, 1216 West Lakeridge Drive, Fayetteville AR. Sold to Frances Pearson. Sold in 2012 to Emily Baker. 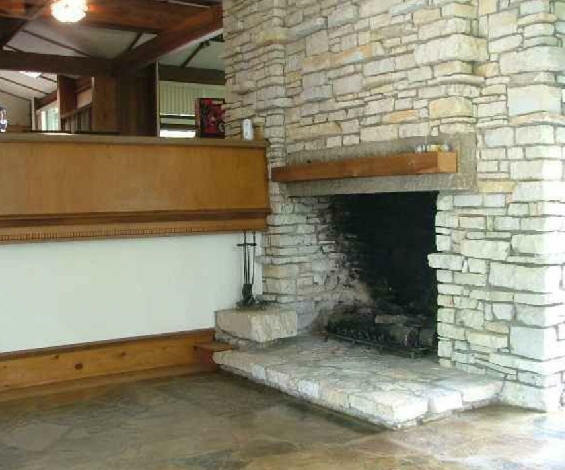 1958 - The William and Marion Enfield House, 601 Enfield Drive, Bentonville AR. 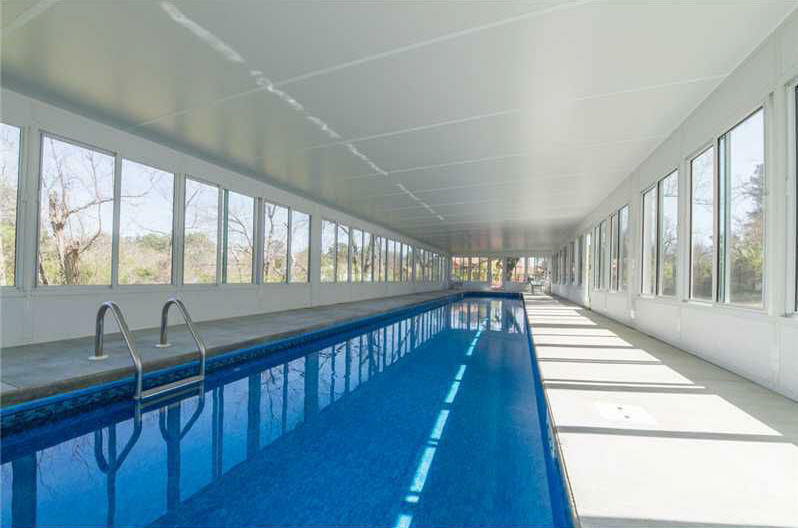 Sold in 2012 to Crystal Lands Real Estate Developers. William Enfield was a judge, then a lawyer. In private practice he represented Peterson Industries in the development of Bella Vista Homes, a Fay Jones project, as well as Sam Walton during the development of WalMart. 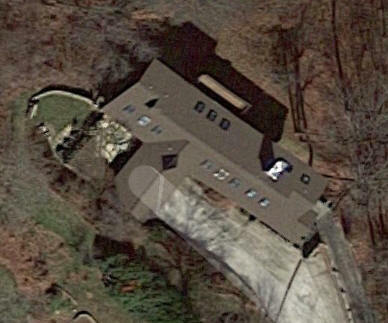 Son Bill and his wife Charlotte live at 605 Enfield Drive, a house which could be connected to the original design. This was also transferred by grant deed in 2012 to Crystal Lands. 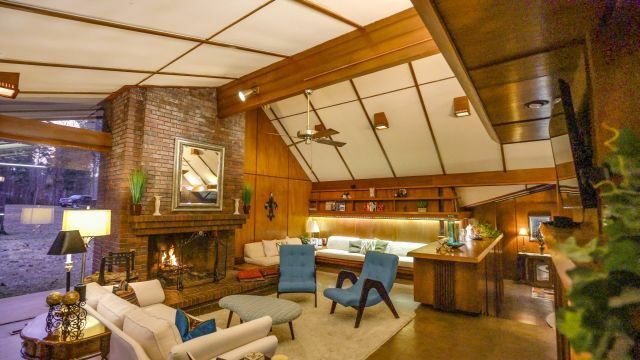 The sale appears to be part of the deal for 601 Enfield. 1958 - The Jack Wilson House, Fayetteville AR. Unbuilt. 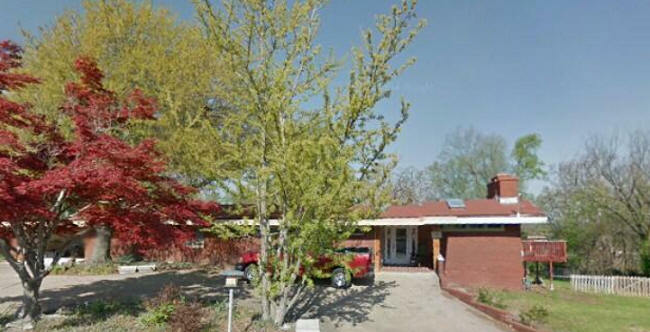 1959 - The Richard and Annette Adkins House, 4525 Girard Street, Muskogee, OK. Sold in 2018. 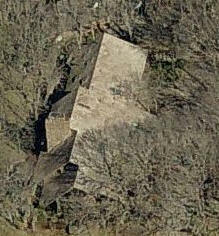 1959 - The Joe Marsh and Maxine Clark House, 1724 Rockwood Trail, Fayetteville AR. Sold to K. Asphal. Sold to the Thomas King Trust. 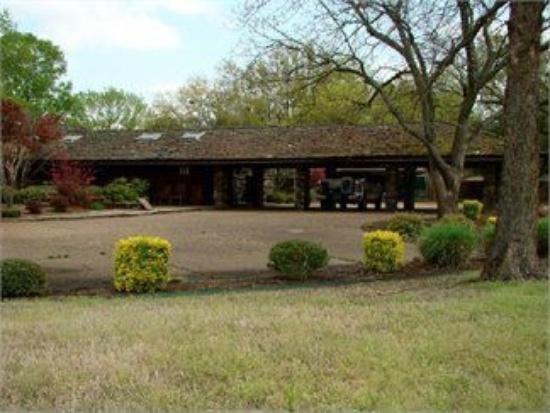 1959 - The Paul and Francis Allen Henley House, 2523 Calion Road, El Dorado AR. 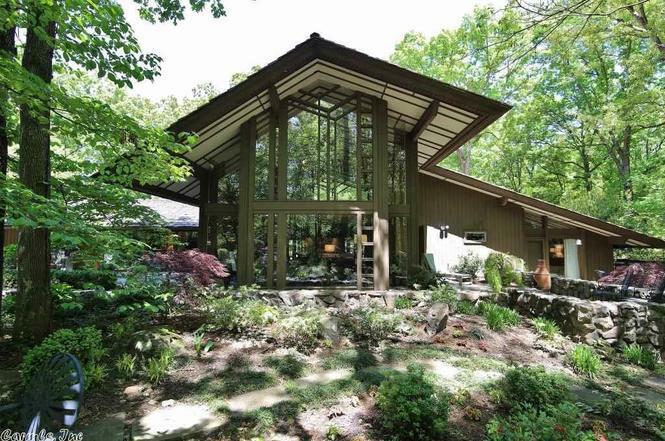 This house was built with another house (1960) for Dr. James Riley on adjoining properties (see 1960). Sold to Vikki Hastings. 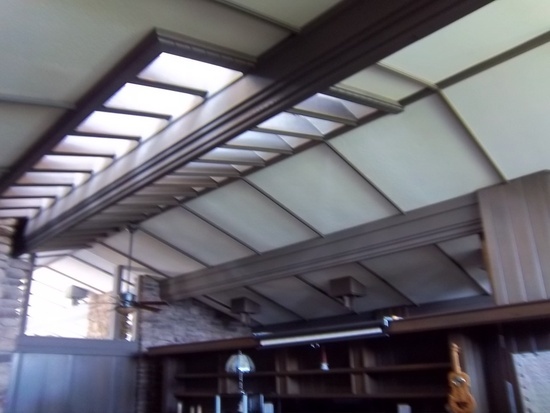 1959 - The Carl Koch Remodel and Carport, Fayetteville AR. Unbuilt. 1959 - The Keith and Jean Newhouse House, Fayetteville, AR. Unbuilt. 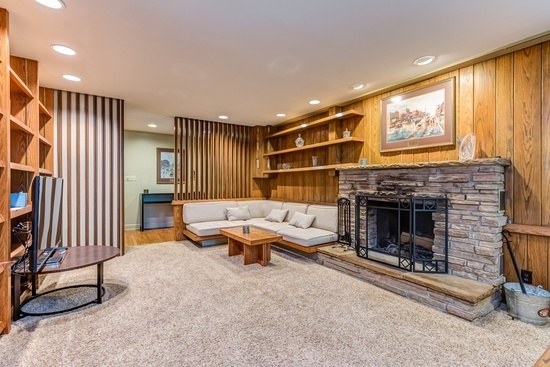 The couple later built a house in 1960 at 725 Anna Place, unsure of architect. 1959 - The Ogden Shirley Remodel, Assembly Road, Fayetteville AR. 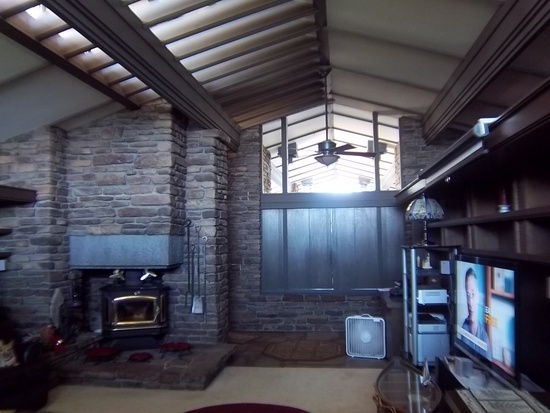 The Jones Collection says this project was completed and appears to be a remodel of a small residence. However, there is no house at the address found and the houses close to the same address are not Fay Jones style. Needs verification. 1959 - The Sam Walton House, 501 NE F Street, Bentonville AR. Destroyed by fire and rebuilt between 1973-75. This is the Walton of Walmart fame. 1960 - The Blake and Billie Berry House, 4300 South Q Street, Fort Smith AR. Sold to Dwight Curry. 1960 - The Robert E. (Bob) Gray House, 111 South Oak Hill Street, Siloam Springs AR. 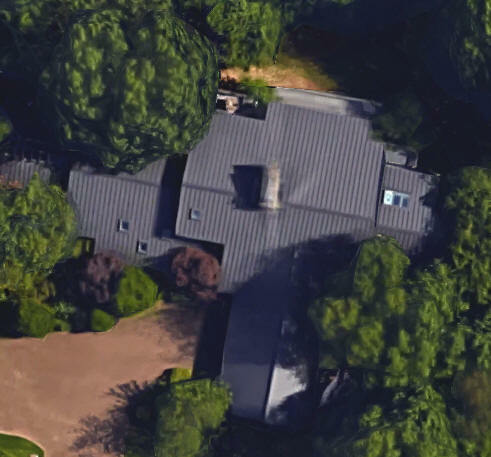 Still owned by the Gray family as of 2010. 1960 - The Graham and Louise Hall House, 2203 Pine Valley Road, Little Rock AR. Collaborative project with Ginocchio Cromwell Architects. 1960 - The Sam Jameson House, El Dorado AR. Unbuilt. 1960 - The Kay Kaylor House, Fayetteville AR. Unbuilt. 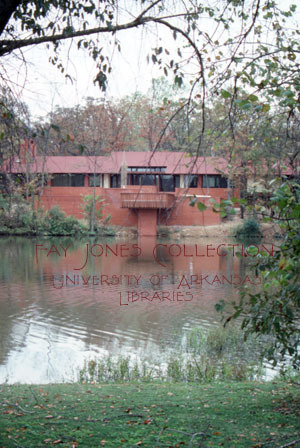 1960 - The James Riley House, 2525 Calion Road, El Dorado AR. Sold to Kevin Roussel. Sold in 2017. 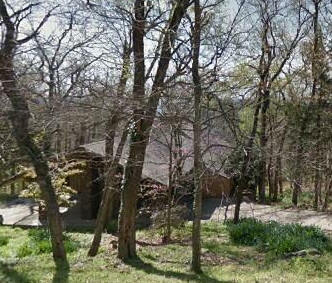 1960 - The Harold R. Snow House, 828 North Skyline Drive, Fayetteville AR. Sold to Gabriele Schafer. 1960 - The Breck and Marilyn Speed House, 2323 South 40th Street, Fort Smith AR. 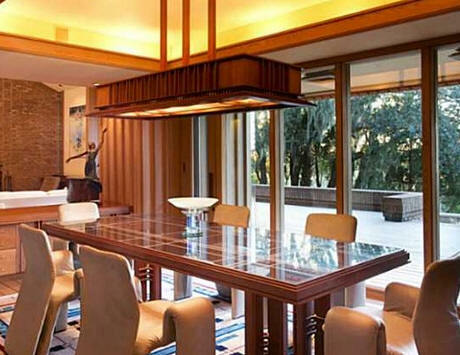 Sold to James Breckinridge and Marilyn Speed (Fay Jones' granddaughter). 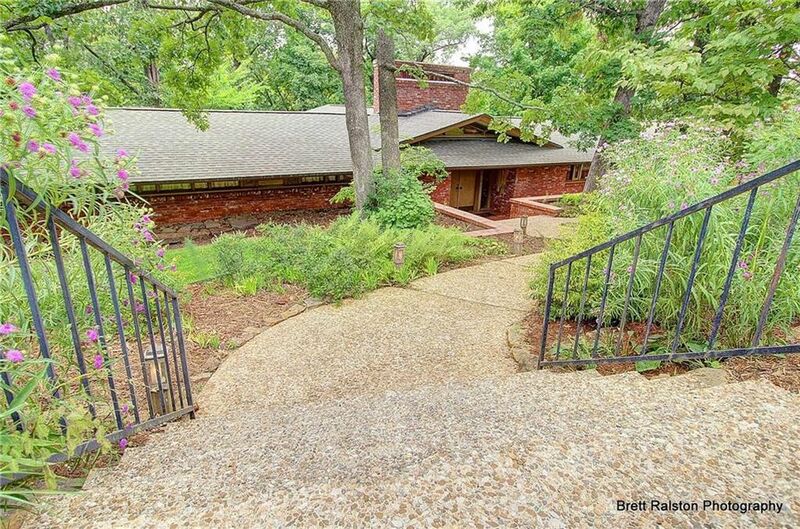 1961 - The W. D. Harral House, aka Butterfly House, 1100 East Rockwood Trail, Fayetteville AR. Commissioned 1958. Deeded to Max Harral. For sale for the first time in 2018. 1961 - The Wayne Colwell House, Siloam Springs AR. Unbuilt. 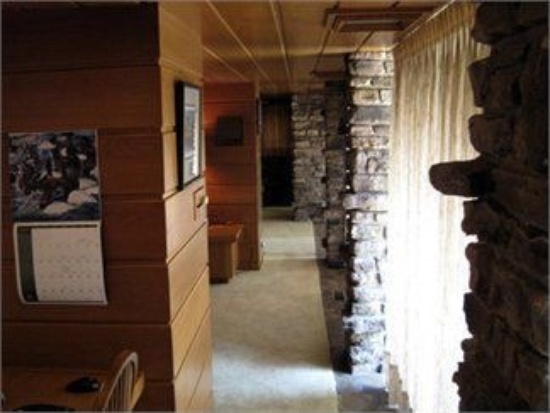 The design was used later in the Cherokee Village Townhomes. 1961 - The R. A. Young House, Fort Smith AR. Unbuilt. 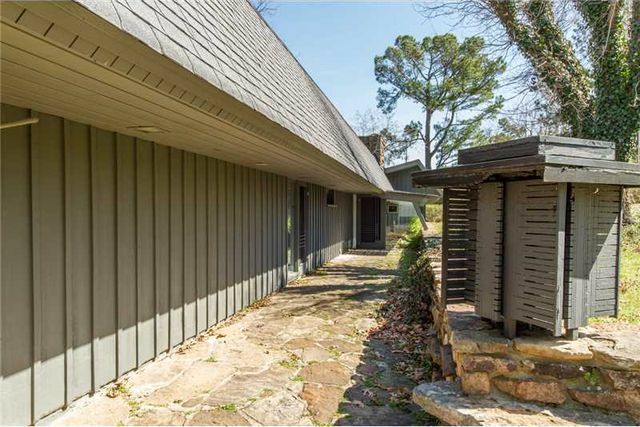 1961 - The Francis and Jessie Merk House, 1101 West Ridgeway Drive, Fayetteville AR. Sold to the Pearson family. 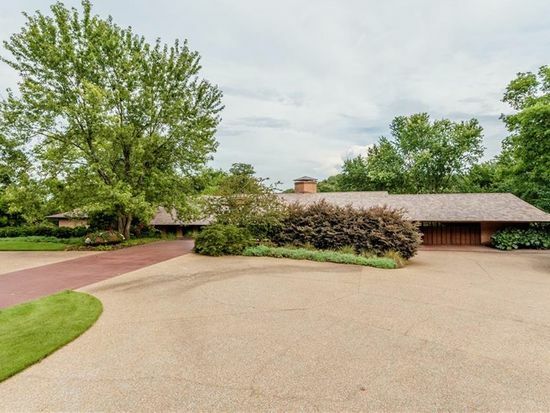 1961 - The Glenn and Alma Parsons House, 1750 North Scott Hollow Road, Springdale AR. 1962 - The Hugh Hardin House, Fort Smith AR. Unbuilt. 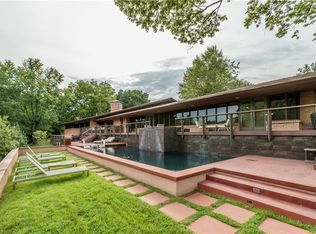 1962 - The Richard and Suzie Croker House, Kansas City KS. Unbuilt. 1962 - The Norman and Louise DeMarco House, 3444 Finger Road, Fayetteville AR. 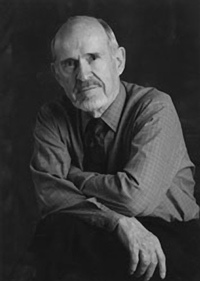 Norman DeMarco was a professor of speech and drama at University of Arkansas. Still owned as of 2014 by Louise and her daughter, Barbara. 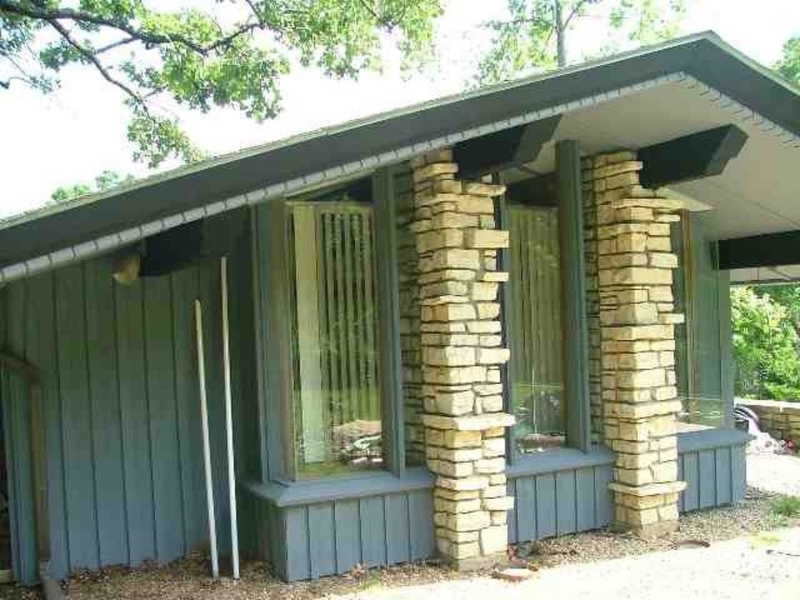 1962 - The George and Vida Fisher House, 1400 W. Madison Street, Lebanon MO. Sold to the Clay family. Several upgrades and improvements. 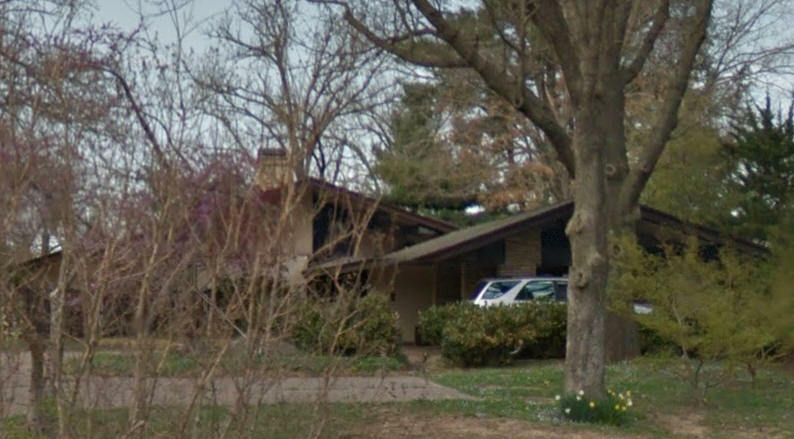 1962 - The Sam and Jody Hunter House, 5715 Sycamore Grove Lane, Memphis TN. Sold in 2012 to Barry Gildea. 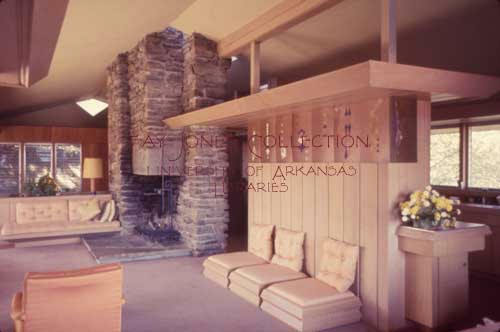 1962 - The Joe and Kathy Nance House, 1520 West Park Avenue, Harrison AR. Sold in 2018. 1962 - The William R. and Barbara Walker House, 8 Berry Hill Road, Fort Smith AR. Owned until 2014 by Barbara Walker. 1962 - The Grant White House, Fort Smith, AR. Unbuilt. 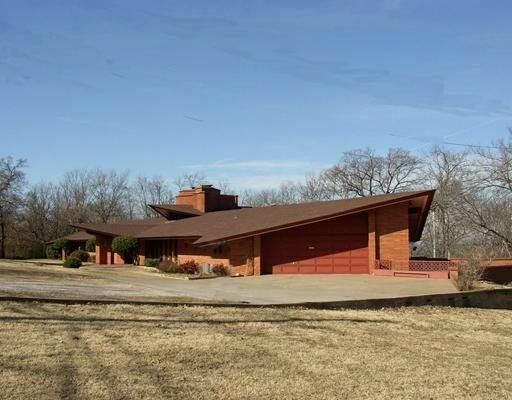 1962 - The Harry Durst and Jan Horton House, 1348 South Glascock Lane (6400 East Farm Road, 138), Springfield MO. Sold to John B. Mitchell. 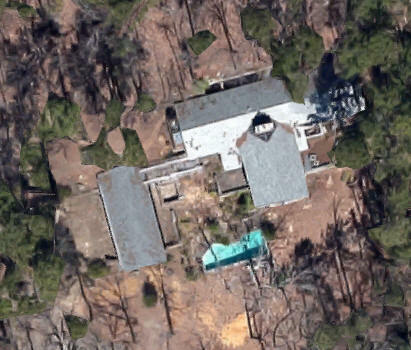 1963 - The Glenn and Helen Clark House, 951 Pembroke Road, Fayetteville AR. Sold to Thurmon Croker. Renovated in 2002. Sold to Janis S. Rodriguez. Photos by Brett Ralston. 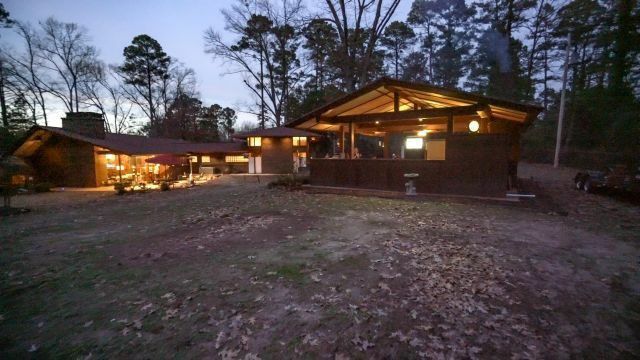 1966 - The Orval and Alta Faubus House, 796 Governor Road, Huntsville AR. Commissioned 1963. He was the Governor of Arkansas during desegregation using the National Guard to keep black students out of Little Rock High School. Alta lived there less than a year and they divorced. Orval remarried soon after, the second marriage ended in divorce (and her murder just before the divorce became final in 1984). 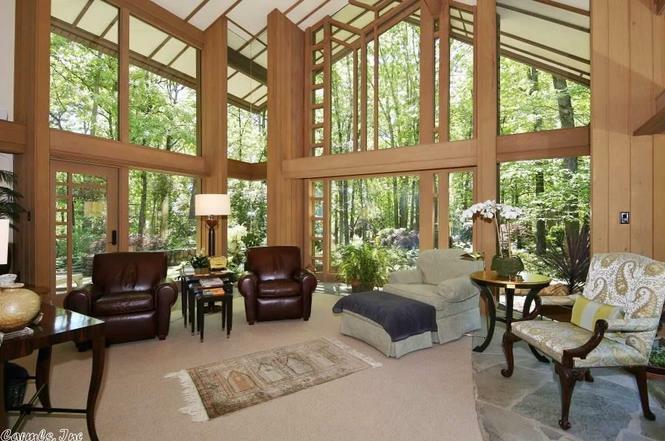 Orval married a third time to Jan, who shared the house until it was sold at auction in 1989 to Kenneth and Lorraine Howell as a wedding venue. 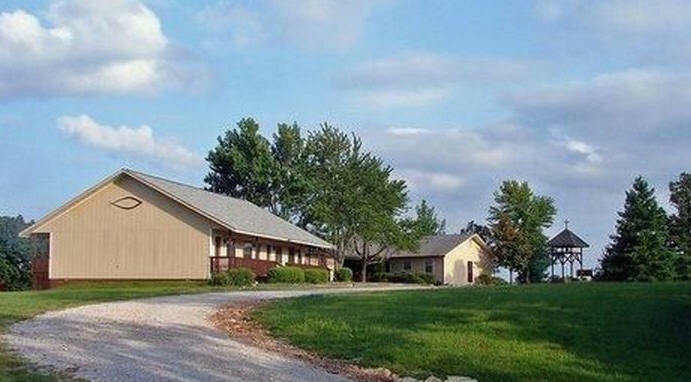 Sold at auction with 10 acres in 1991 to L. O. Day (above, left, with Jones, right) who opened it as a bed and breakfast. 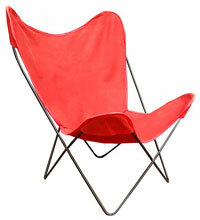 Sold at auction for a second time in 1995 to Jon Fomanek. 1963 - The John Scruggs House, 1021 Creekside Lane, Nicholasville KY.
1963 - The Bob Shaheen and Curt Goodfellow House, aka Stoneflower, aka the Shaheen/Goodfellow House, 704 Stony Ridge Road, Heber Springs AR. Landscape architects' weekend cottage. They got the lot in exchange for professional services for developer Herbert Thomas. Several owners over the years. Sold in 2006. Was a rental. Sold in 2018. 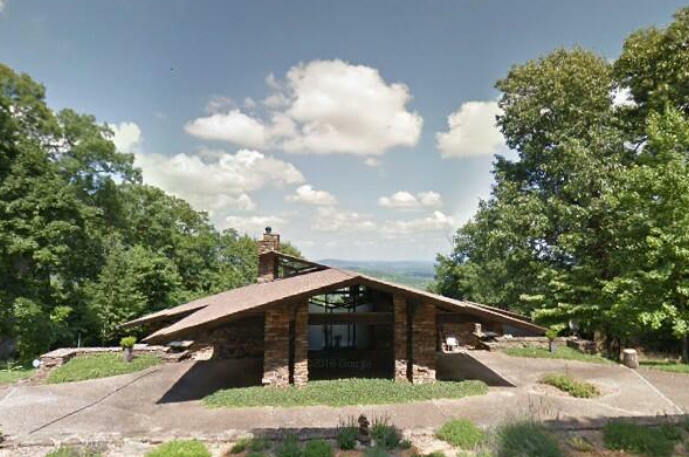 1963 - The Jim Thomas House, Heber Springs AR. Unbuilt. 1964 - The Don and Ellen Edmondson House, Forrest City AR. Unbuilt. Jones designed another house for Edmondson in 1976 which was built. Around 1964 - The F. S. Muray House, Huntsville AR. Unbuilt. 1964 - The Jim Jones House, Sallisaw OK. Unbuilt. 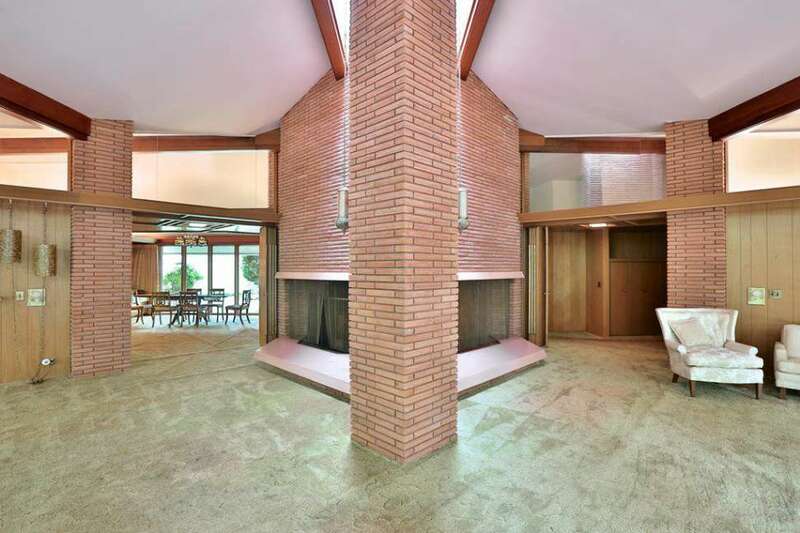 1964 - The George Martin House, Fayetteville AR. Unbuilt. 1963 - The J. H. Fredman House, Fort Smith AR. Unbuilt. He worked with B & F Realty Co. so this may have been a development plan. 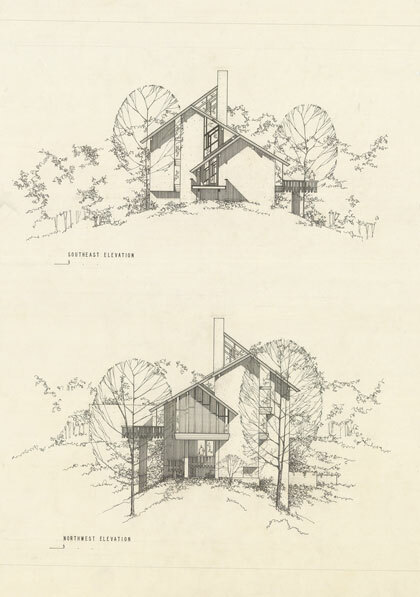 1963 - The Henry Martin House, Lake Tenkiller OK. Unbuilt. 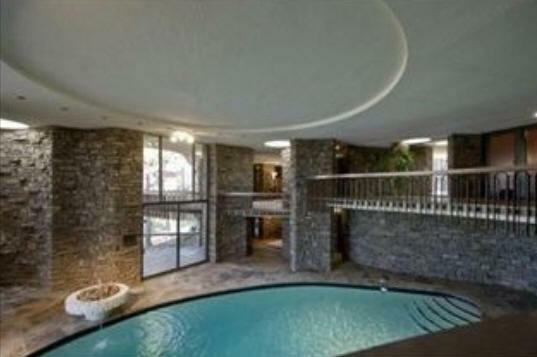 1964 - The Francis L. and Jessie Merk Residence, Fayetteville AR. 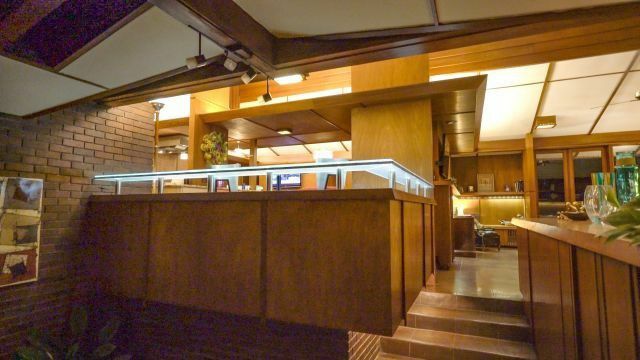 Extensively remodeled in 1990's, not by Jones. 1964 - The Bella Vista Village Townhomes, Bella Vista AR. Jones design ended up as part of Cherokee Village Townhomes, below. 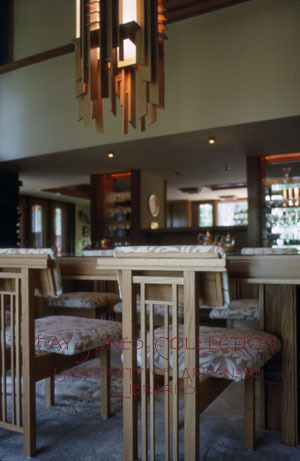 Jones also designed the chapel and country club for Bella Vista. 1965 - The Cherokee Village Townhomes, 1 through 8 Lotus Lane, Cherokee Village AR. 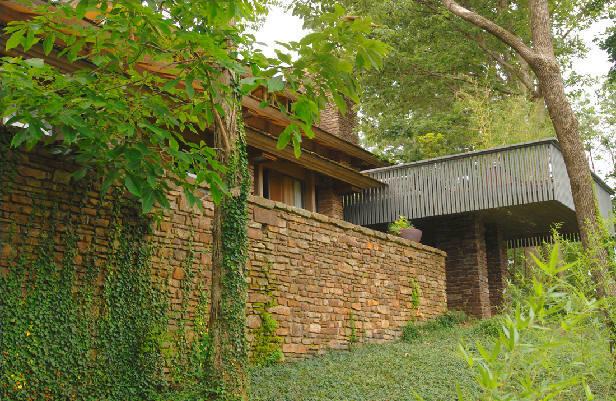 1965 - The Alma Goetsch and Katherine Winckler House, 1619 East Clark Street, Fayetteville AR. 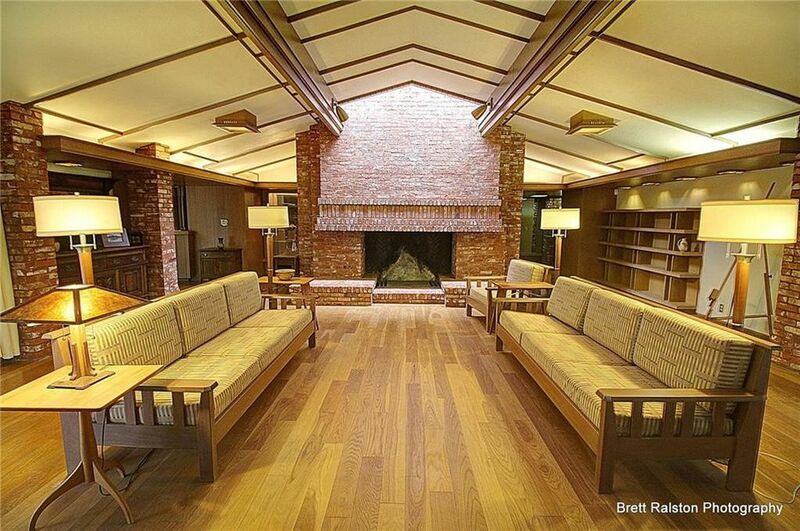 Both were art teachers at Michigan State and lived in Okemos MI in a home designed by Frank Lloyd Wright. 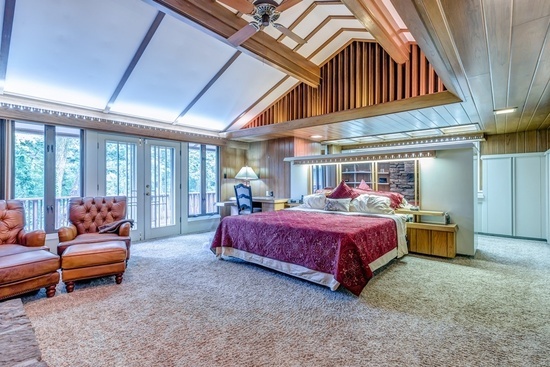 They commissioned Jones to design their retirement house in Fayetteville. 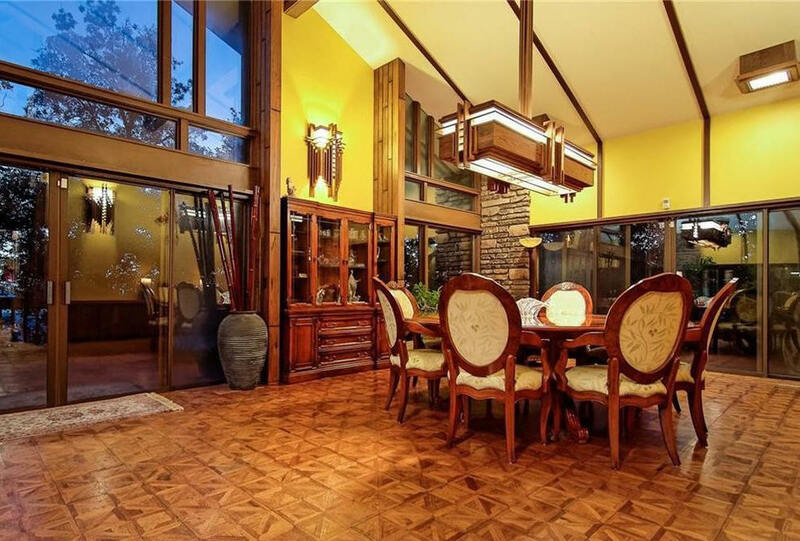 Sold to the Benedict family. 1965 - The Finley Vinson House, Little Rock AR. Unbuilt. 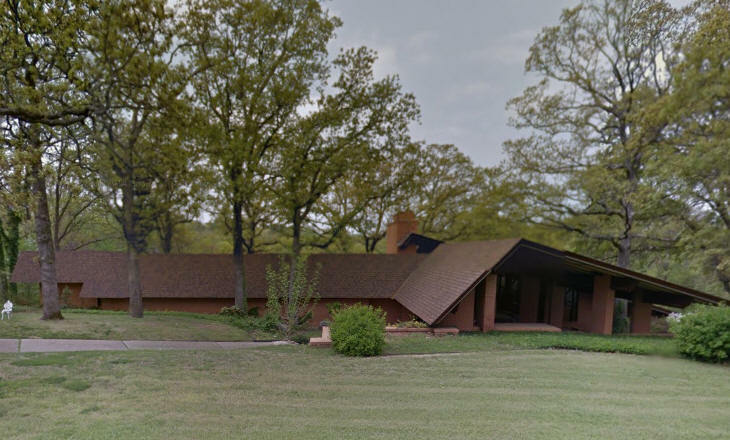 1965 - The Fred and Fran Lagerholm House, 531 Plateau Lane, Kimberling MO. Sold to Donald Lester. 1965 - The Earl and Evelyn Lane House, 218 Fawn Street, Hot Springs AR. Sold to Bob Searcy. 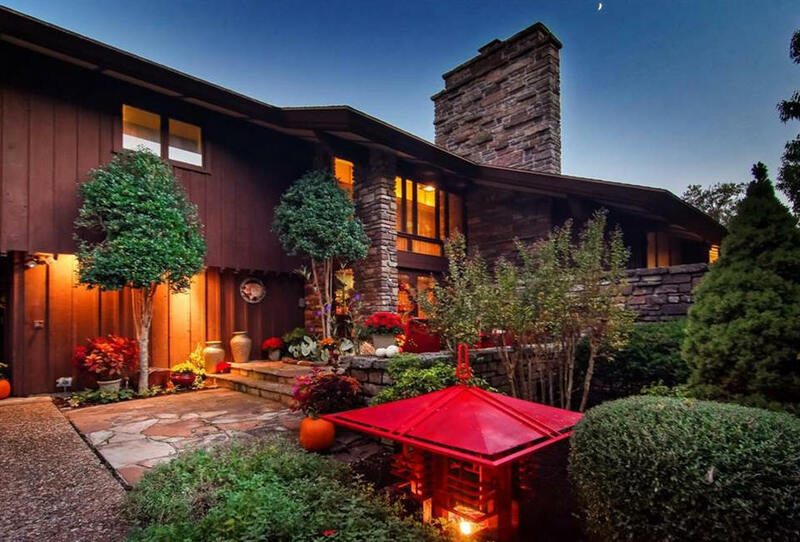 1965 - The Phil and Adrienne Cheatham House, 3620 Forest Hill Irene Road, Germantown TN. 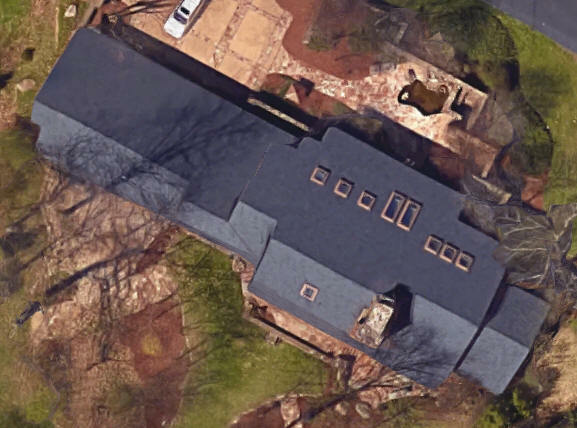 Still owned by the Cheatham heirs as of 2014. 1966 - The James and Janice Polk House, 763 Polk Drive, McNeil AR. Sold to Dorothy Woodward. 1966 - The E. M. Radcliffe House, West Memphis AR. Unbuilt. 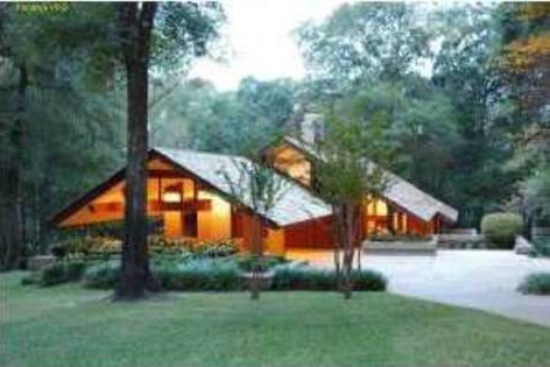 1966 - The Quen Rahal House, Caro Lake near Memphis TN. Unbuilt. 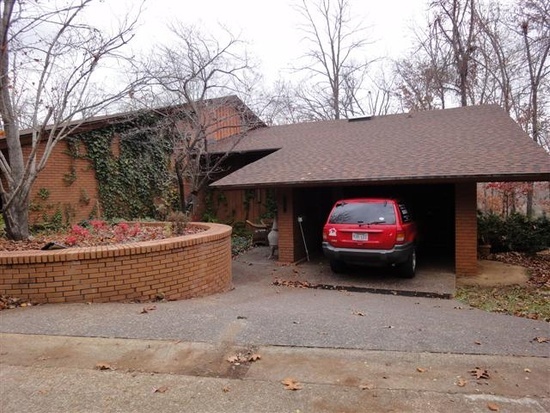 1967 - The Carie and Marjorie Buckley House, 964 Arlington Terrace, Fayetteville AR. Sold in 1999 to Sandra Edwards. Sold in 2014 to Gary Stoner. 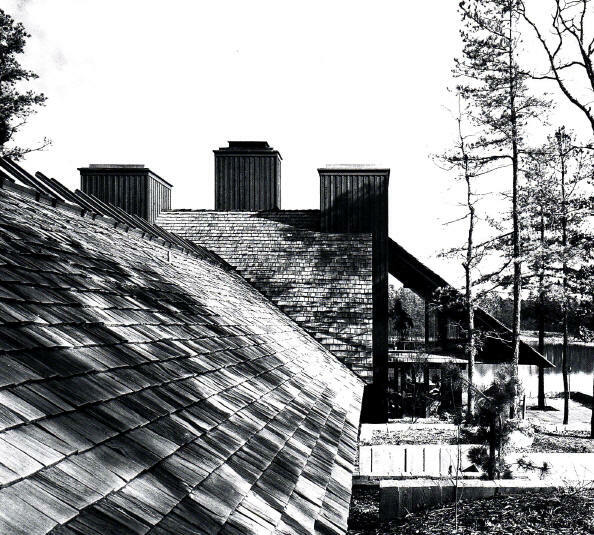 1967 - The Hugh Liedtke House, Eureka Spring AR. Unbuilt. 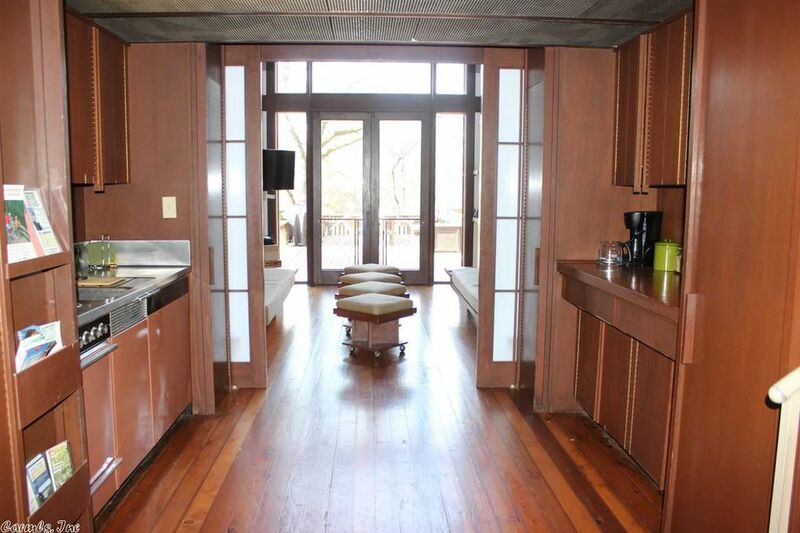 1968 - The Chester Baugus House, Fayetteville AR. Unbuilt. 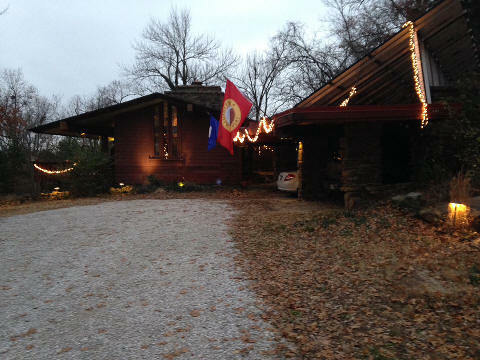 1968 - The Joe and Melba Applegate House, 2301 SW 2nd Street, Bentonville, AR. Sold to Donald Wetmore. Sold to the Todd family in 2012. 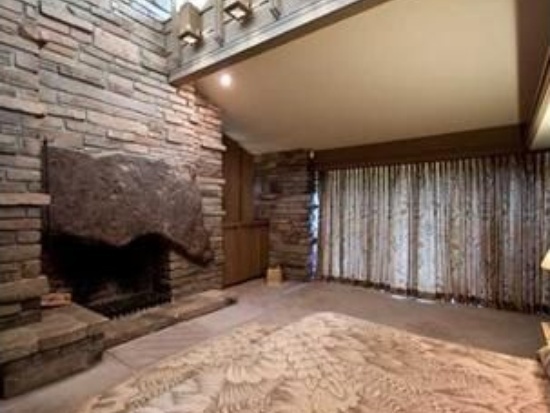 1968 - The August Faltin House, Enchanted Rock TX. Unbuilt. 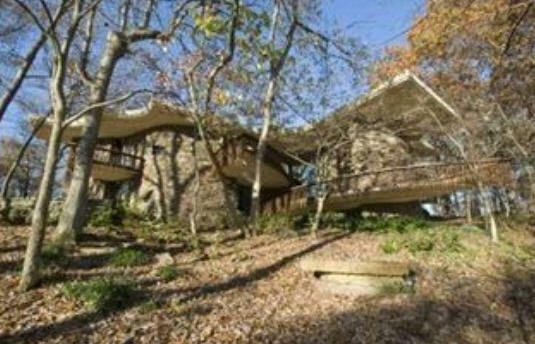 1968 - The Jack Lowrey House, Russellville AR. Unbuilt. 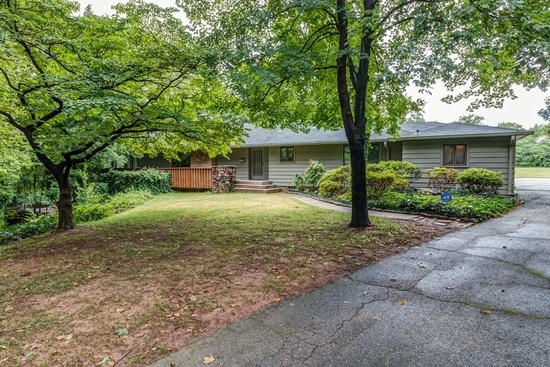 1969 - The Carl and Jan Collier House, 2165 East Manor Drive, Fayetteville, AR. Updates 1976-78. Transferred to daughter Meredith Collier Dowse in 2012. 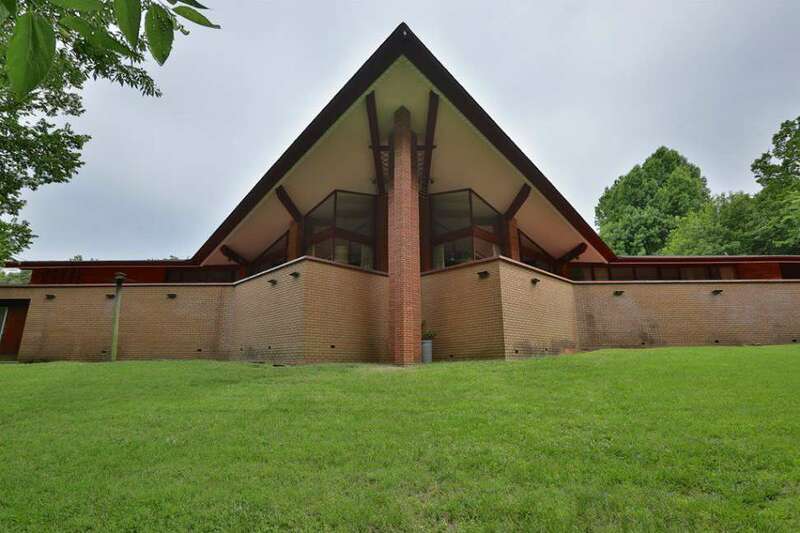 1969 - The John and Willa Harkey House, 490 Harkey Road, Batesville AR. Still in Harkey family as of 2014. This project was not supervised by Jones. 1969 - The Denver Roller House, Springdale AR. Unbuilt. 1970 - The Robert and Clara King House, 1007 South Pearl Street, Iuka MS. Still owned by the King family as of 2014. 1971 - The Betsy Altman House, Mountainberg AR. Unbuilt. 1971 - The George and Boyce Billingsley House, 101 Chelsea Road, Bella Vista AR. Jones did initial site work, layout, and house design. Albert Green, of Jones' office, completed the design. 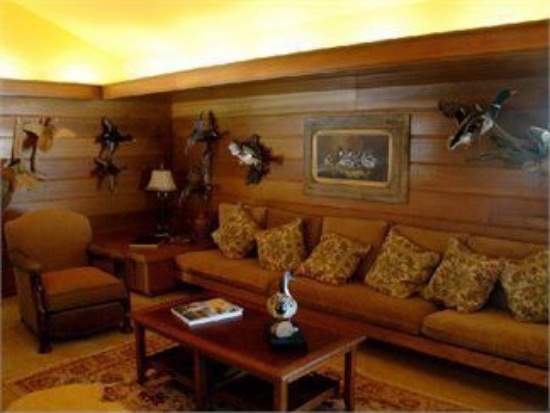 Sold to Bill and Beverly Williams who run it as an inn. 1971 - The Laura Nichols-Jolly House, Scott AR. This project was built and later destroyed by fire. 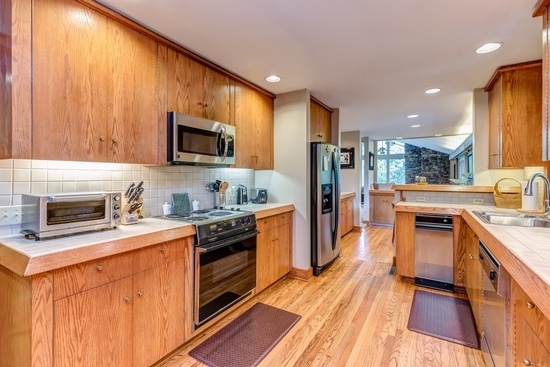 Newer home built on the site is not a Jones design. Do you know where it is? 1971 - The John and Mildred Cooper Suite in the Velda Rose Motel, Hot Springs AR. Unbuilt. 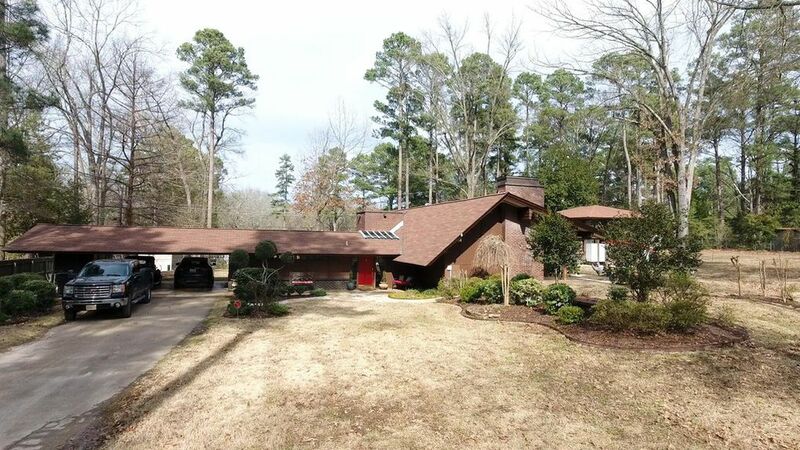 1971 - The George and Mary Wildgen House, Little Rock AR. Unbuilt. 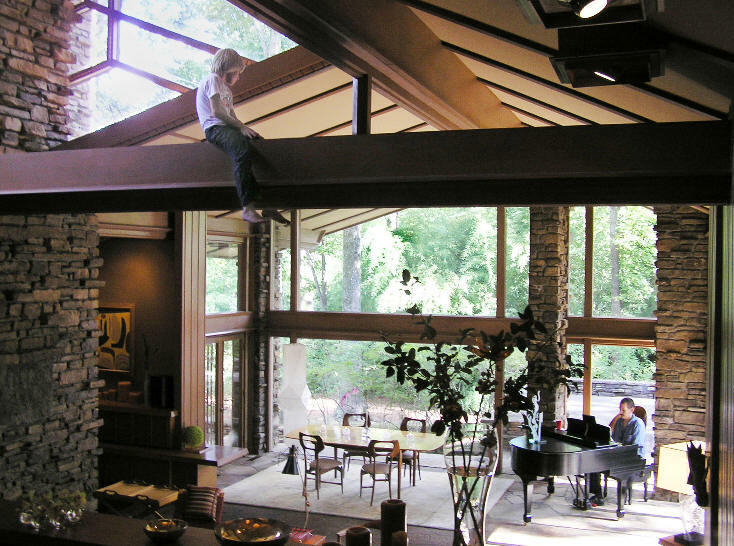 1972 - The Jack Freshour House, Salada AR. Unbuilt. 1972 - The Larry Post House, El Dorado AR. Unbuilt. 1972 - The James W. and Billie Tanner House, 12821 Ridgehaven Road, Little Rock AR. Jones designed an addition in 1986. Sold to Carleton McMullin. Updated and remodeled in 2011. Deeded to Jane McMullin. Sold in 2016 to Daniel and Autumn Hardin. 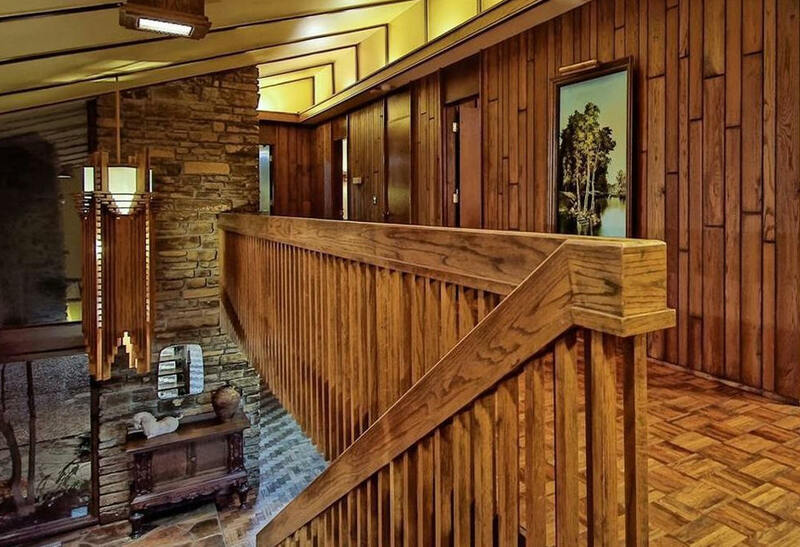 1973 - The Ray Hubbard House, aka Chandler's Landing, 15 Intrepid Circle, Lake Ray Hubbard, Rockwall TX. Sold to Charles B. Key. Sold to Robert and Sherli Cochrane. Sold to Anthony and Christi Boyd Glendinning. 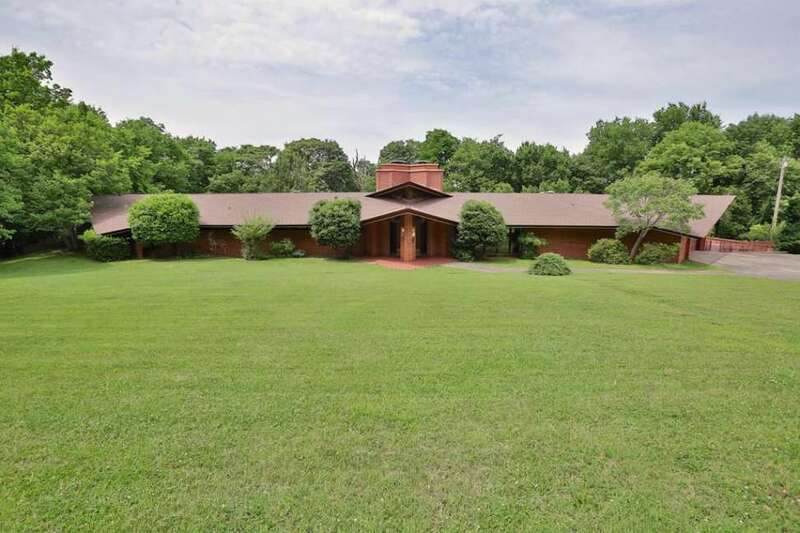 1973 - The William and Nancy McNamee House, 333 Westover Drive, Clarksdale MS. Sold to William Luckett. Has been sold. 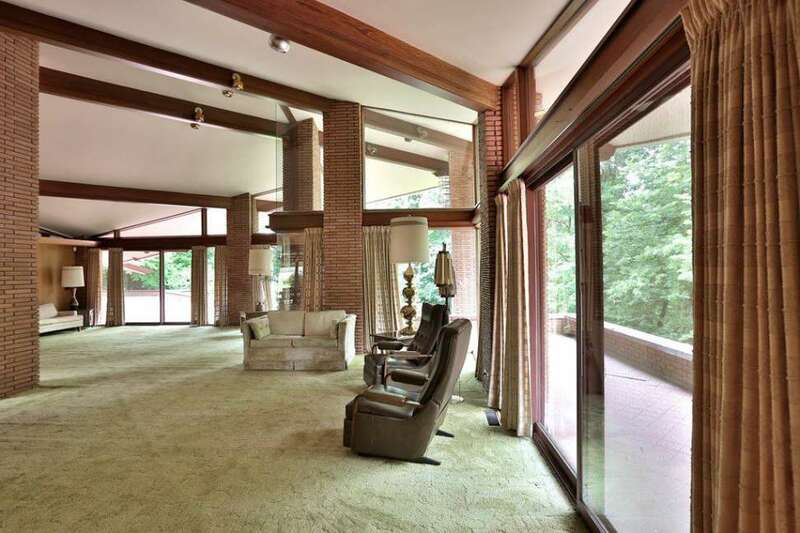 1973 - The Sam and Sharon Pallone House, 26001 Ginger Hill Road, Little Rock AR. 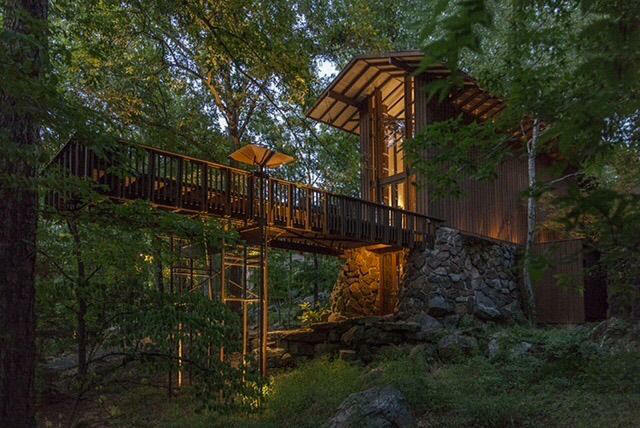 Located on Ginger Hill Lake. 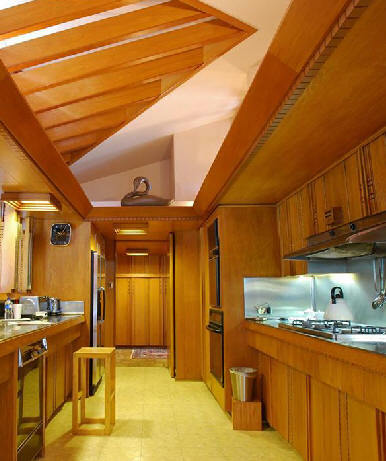 Featured in the May 1977 Record Houses issue of Architectural Record and AIA Journal May 1977 as a Plywood Design Award winner. Sold to John and Anna Riggs. 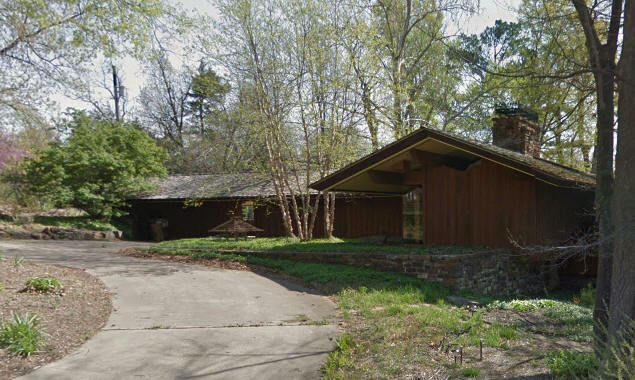 1973 - The Frank and Barbara Broyles House, 721 North Canterbury Road, Fayetteville AR. Became the Frank & Barbary Broyles Legacy Foundation run by Betsy Broyles Arnold, their daughter. 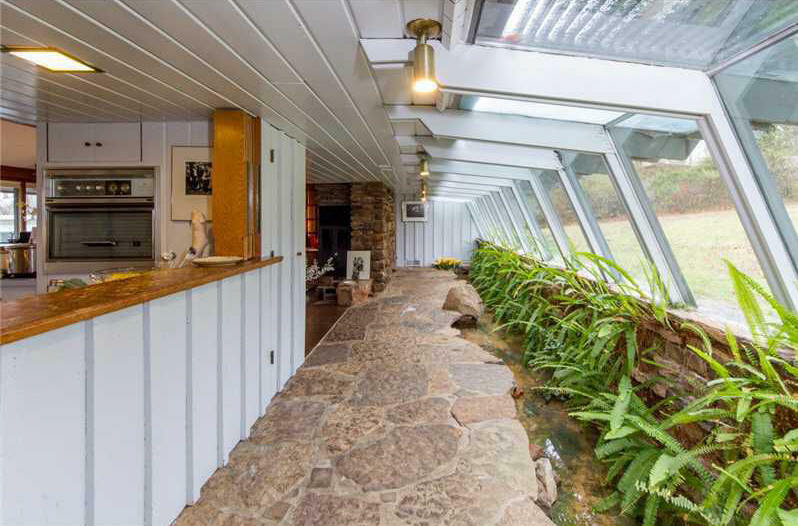 1973 - aka the Bachelor House, 10602 Old Barn Road, Lake Linganore MD. Design based on the Colwell House. Sold to Bryan Stuller. 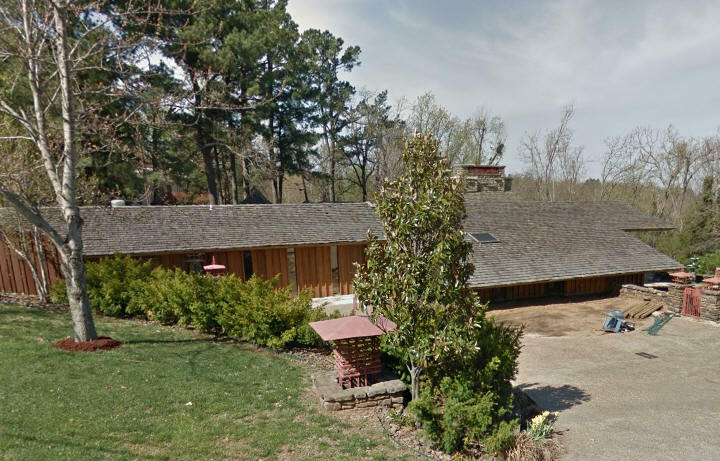 1974 - The Robert and Alice Alexander House, 12808 Raheen Ranch Road (Country Road 3151), Fayetteville AR. Still owned as of 2010 by the Alexander family. 1974 - The Sy and Ruthye Sussman, Harmony, AR. Unbuilt. 1975 - The William and Marlee Harrison House, Fayetteville AR. Unbuilt. 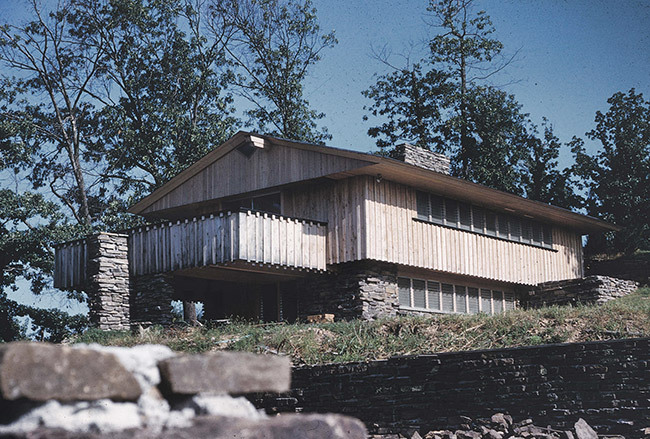 1975 - The Mark Milcovich House, Ennis Mountain AR. Unbuilt. 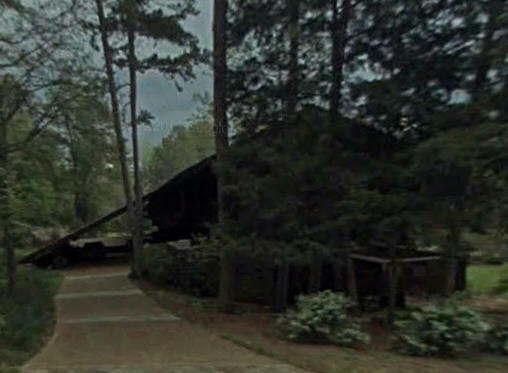 1975 - The E. K. and Jean Oswalt House, 874 Island Point Drive, Lake Providence LA. 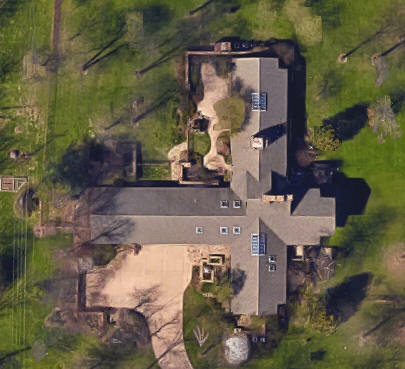 As of 2010, still owned by the Oswalt's. 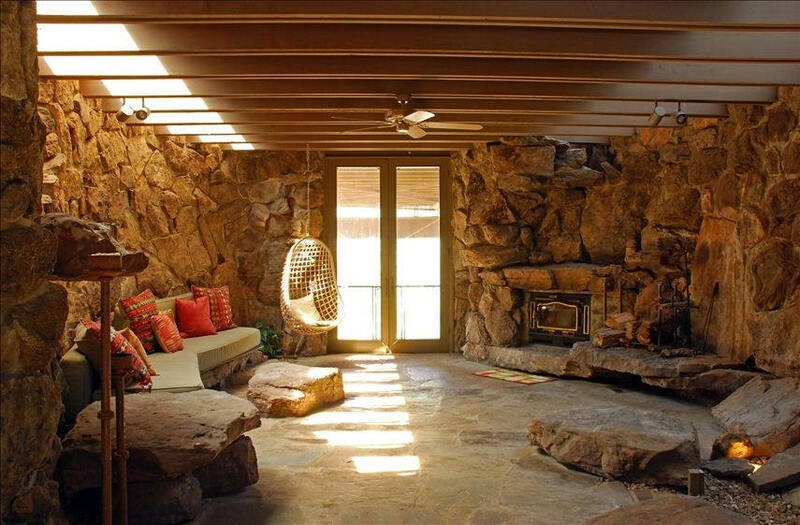 1976 - The Bob Carver House, aka The Boulders, 600 White Oak Drive, Mena AR. Sold to Kenny Sells. 1976 - The Doyle Cotton House, Flint Ridge OK. Residence and guest cottage. Unbuilt. 1976 - The Don Dennis House, Birmingham AL. Unbuilt. 1976 - The Don and Ellen Edmondson House, 3 Ridgewood Lane, Forrest City, AR. 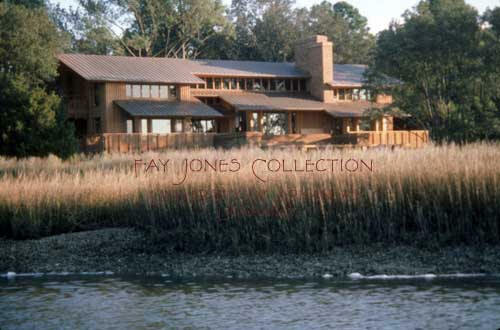 In the 1980's Jones designed an additional boathouse, dock, terrace, green house, and guest house. Still owned by the Edmondsons as of 2018. 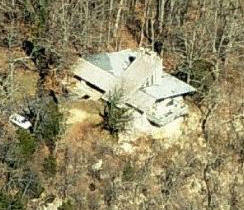 1976 - The Tom and Mindy Lutz House, Ledge Drive, Shell Knob, MO. Built, need address. Tom Lutz worked as a sound engineer for the Hee Haw theater. 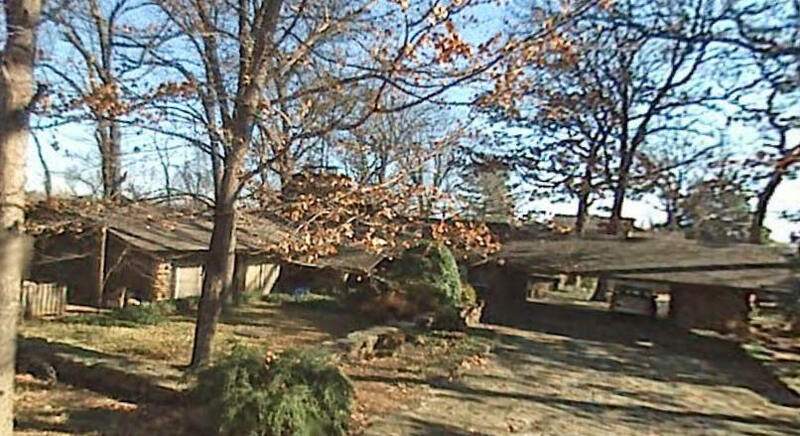 1976 - The Harman Hotz House, 556 North Oliver Avenue, Fayetteville AR. Sold to Jeannine Marie Durdick. 1977 - The Harold and Marilu Ives House, 312 Crescent Place, Stuttgart AR. Home was donated to the University of Arkansas in 2013 by Chris Robertson. Became the "Glenn Bauman Memorial Center of the University of Arkansas System Division of Agriculture." The agreement was to not sell the property for at least 3 years, after which time, if it was necessary to sell, the proceeds would be used to create an endowment fund carrying the name of Glenn Bauman. 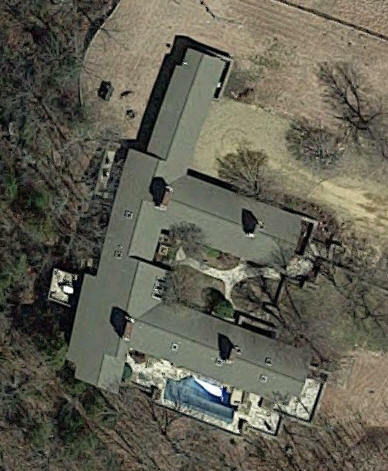 1977 - The Tom and Jill Jacoway House, 404 West Lakeview Drive, Springdale AR. Sold to Robert S. Young. 1977 - The Robbie and Linda James House, Ruston LA. Address unlisted. 1977 - The Randolph Ney House, 5101 East Valley Road, Fort Smith AR. 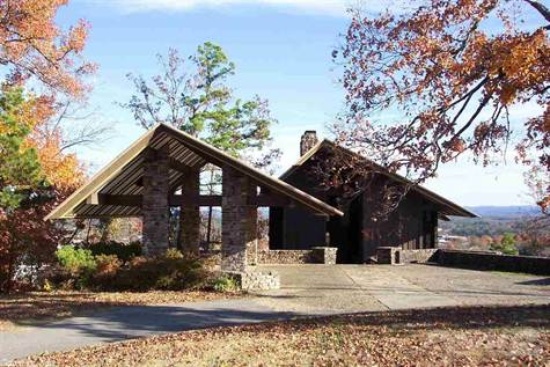 1978 - The Roy and Norma Reed House, 10810 Hogeye Road, West Fork AR. Still owned by the Reeds as of 2018. 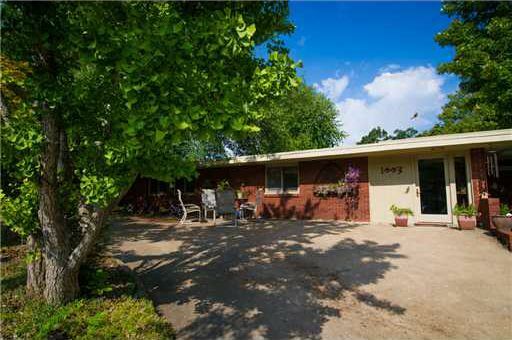 1979 - The Don East House, 9927 South Urbana Avenue, Tulsa OK. Sold to Bill and Dona Ramsey. Gated community. 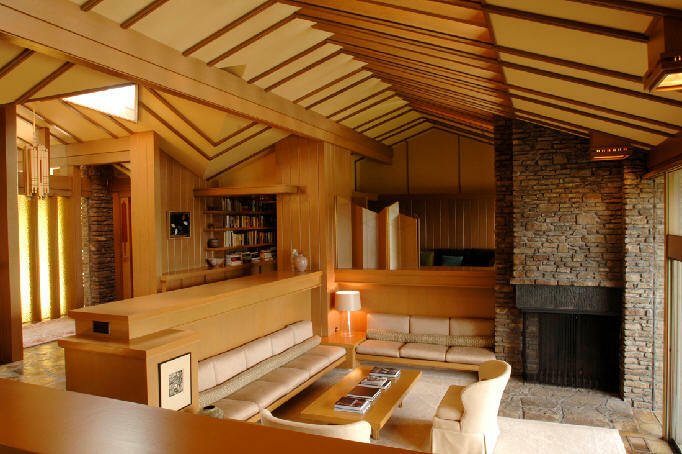 1979 - The James Didion House, Pebble Beach CA. Unbuilt. 1979 - The Ron and Sue Echols House, Monticello AR. Unbuilt. 1980 - The John and Maria Haley House, Little Rock AR. Unbuilt. 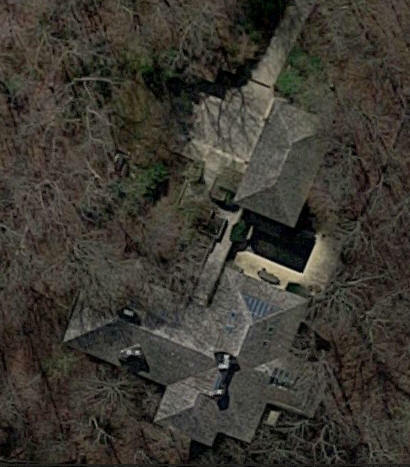 1980 - The John and Louis Drum House, 77 Mayfair Drive, Bella Vista AR. Still owners as of 2014. 1980 - The David and Rita Ratchford House, Marshall AR. 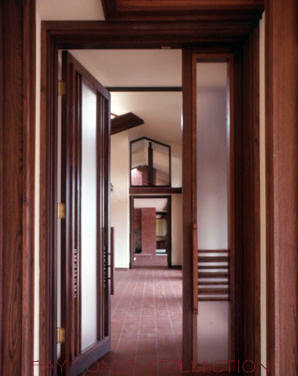 1981 - The Walt Harris House, Fresno CA. Unbuilt. 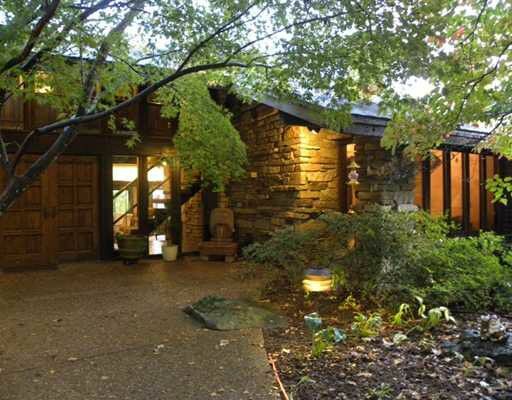 1983 - aka The Hermitage House, 350 CR 248, Berryville AR, owned by Little Portion Inc., Eureka Springs, AR. John Michael Talbot started Hermitage as a religious organization called the Brothers and Sisters of Charity, a Catholic community of celibate men, celibate women, and married couples. 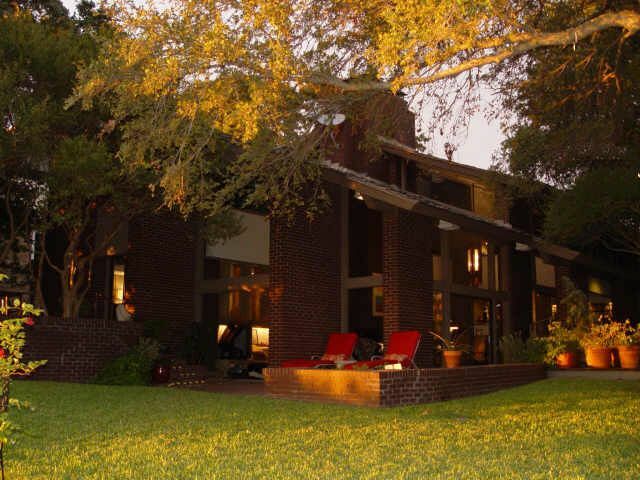 1982 - The Quen and Ann Rahal House, 2736 Indian Springs Road, Marianna FL. Sold to RJ and Pamela W. Jackson. 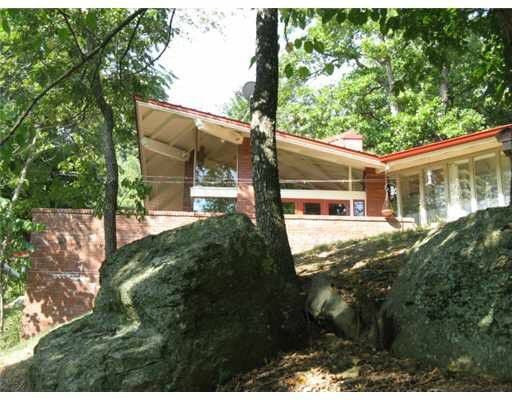 1982 - The Alice Walton House, 13662 Alto Road, Lowell AR. She was the daughter of Sam Walton. Sold to Patricia Mosesso. 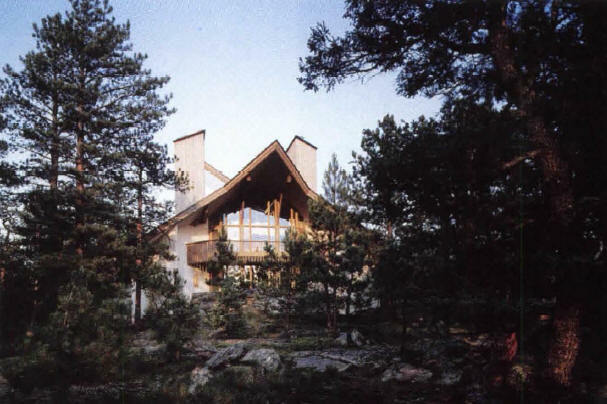 An additional guest house was designed by Jones in 1990. 1983 - The Shanon Brewer House, Little Rock AR. Unbuilt. 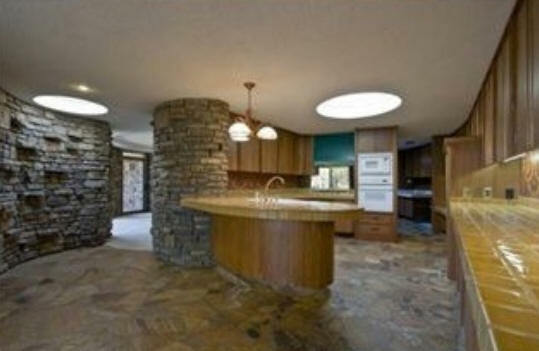 1983 - The Larry Davenport House, 285 Potato Patch Circle, Evergreen CO. Sold to David Weilage. 1983 - The Joe and Pat Stratton House, 4 Idylwood Street, Pine Bluff AR. Sold to Alexander C. Weaver. 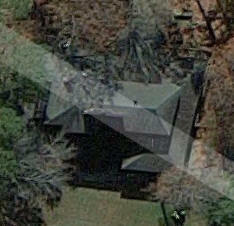 1984 - The Bill and Margaret Cochran House, Cricket Hill Lane, 293 State Highway RB, Lampe (aka South Kimberling City) MO. 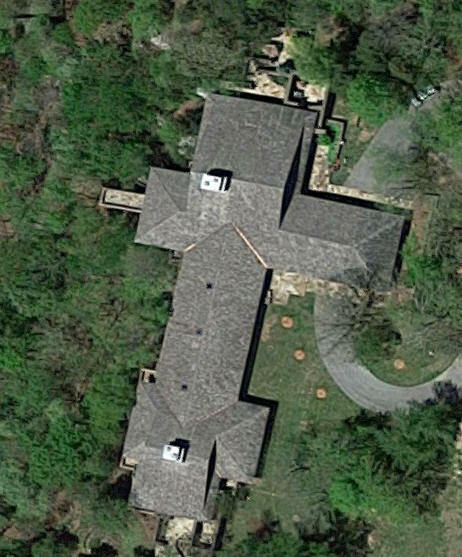 1984 - The Jack and Molly Grober House, 8307 Mile Tree Drive, Fort Smith AR. Sold in 2011. Sold in 2016. 1984 - The Pat Parker House, Hot Springs AR. Unbuilt. 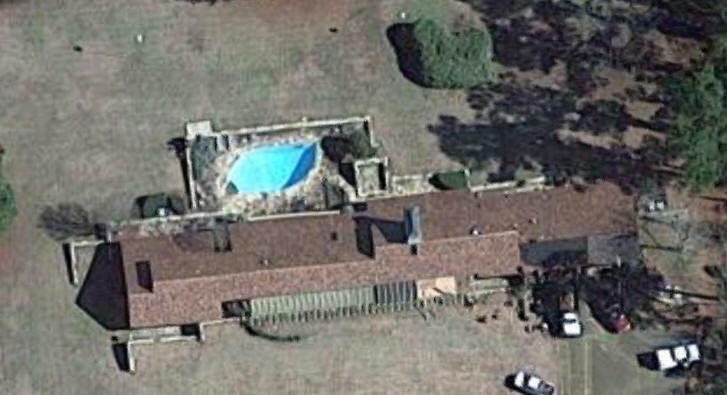 1984 - The Norman and Thelma Watson House, 1155 Dave Creek Parkway, Fairfield Bay AR. Sold to Keith Wingad. 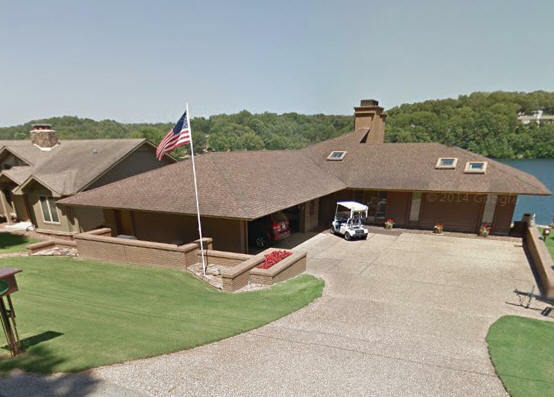 1985 - The Bill and Deide Hutcheson House, 1 Windhaven Drive, Fort Smith AR, still owners as of 2014. 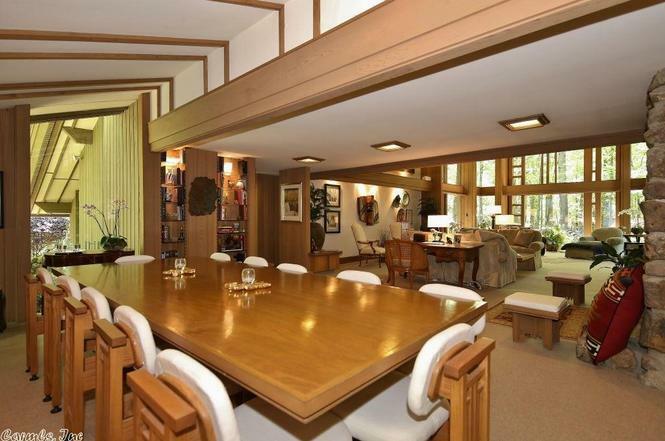 1985 - The Thomas Monaghan House, Ann Arbor MI. Unbuilt. Moneghan was the owner of Domino's Pizza. After several years of working on the design/construction, Moneghan stopped and shifted to building a Roman Catholic college in Florida. 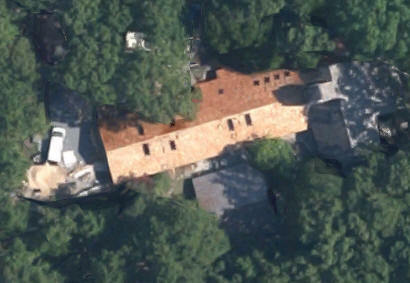 Supposedly the footprint of the house can still be seen in aerial shots. 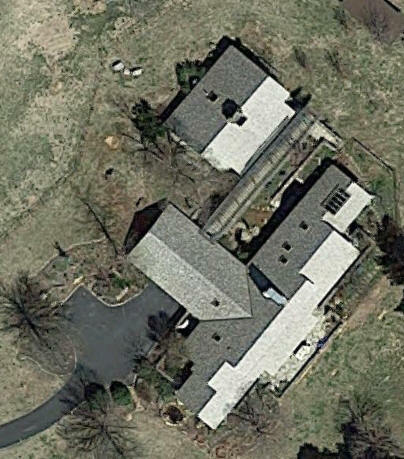 1985 - The George and Marilyn Pedersen House, 700 Potomac Knolls Drive, McLean VA. Same owners as of 2014. 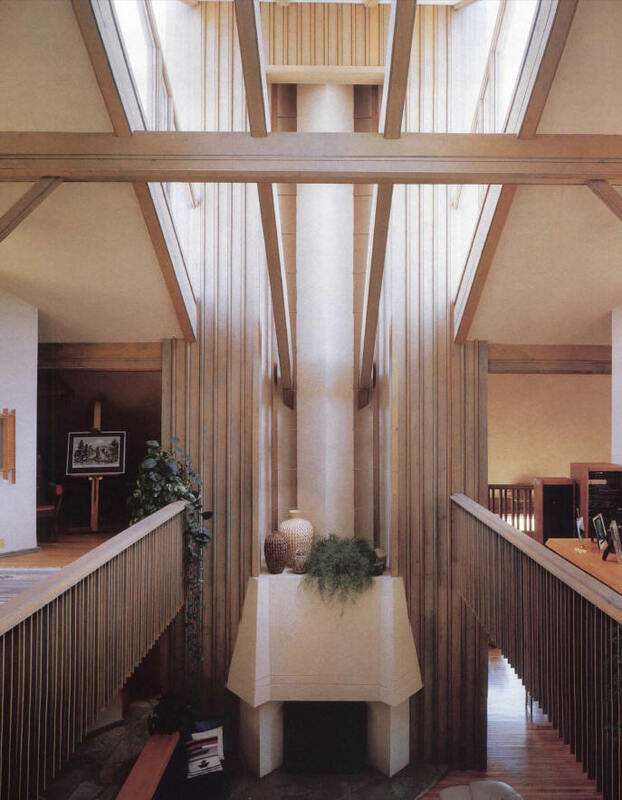 1986 - The Michael Morton House, Fort Smith AR. Unbuilt. 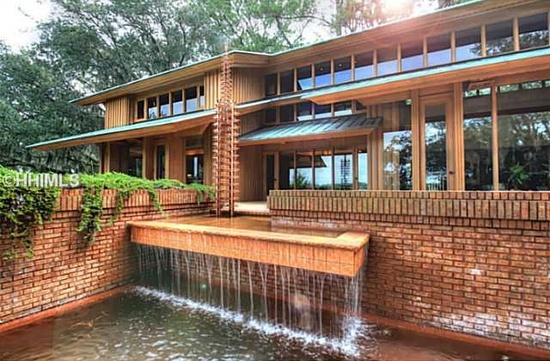 1986 - The Wes and Anne Wilhelm House, 61 Turnbridge Drive, Hilton Head SC. Sold in 2016 to John M. Ward. 1986 - The Fontaine and Judy Richardson House, 121 Skelton Road, Carlisle MA. Sold to E. and Carolyn Stein. 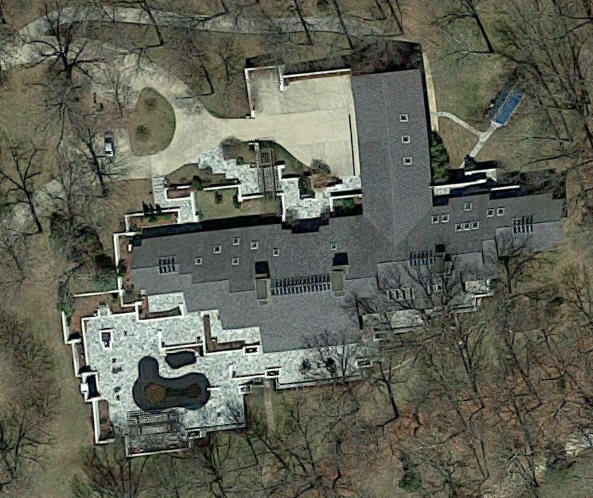 1987 - The Don and Millie Nelms House, 2933 South College Drive, Fayetteville AR. Same owners as of 2014. Designed by Jones and Maurice Jennings. 1988 - The Charles K. Lyon House, Atlanta GA. Unbuilt. 1988 - The Clarke and Mona Yarbrough House, 23089 Main Street, Montrose AL. Same owners as of 2014. 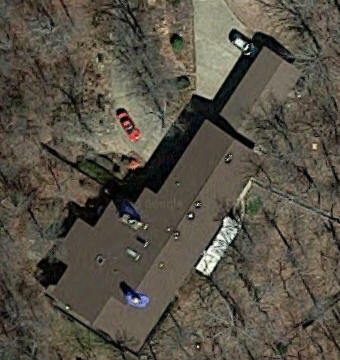 1989 - The Francis and Frances Corcoran House, 5594 Rivercrest Valley Drive, Joplin MO. Designed by Fay Jones and Maurice Jennings. May have been renumbered to 87 Rivercrest Valley Drive. Needs verification. 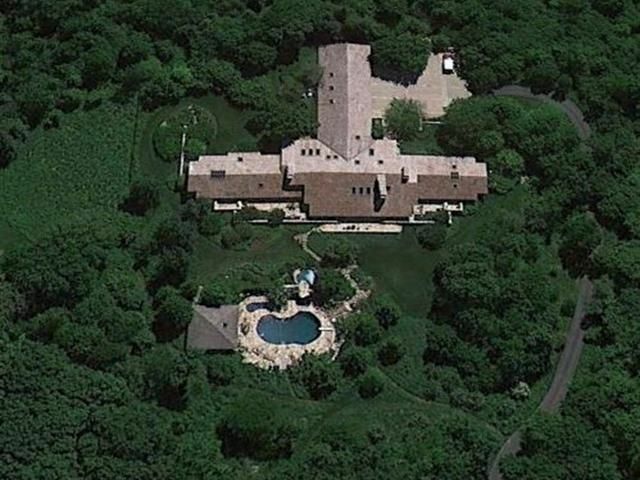 1991 - The David and Joyce McArdle House, 90 Brinker Road, Barrington IL. Sold to Timothy W. Barrett. 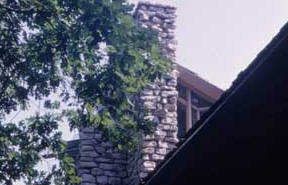 1991 - The Robert and Joyce Mahoney House, 766 South Augusta Drive, Springfield MO. Same owners as of 2014. 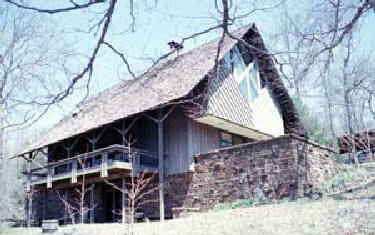 1992 - The Frank and Christine Gill House, 947 Taliva Road, Ozark AR. Address needs verification. Same owners as of 2014. 1992 - The David and Beth Glass House/Residential Retreat, Branson MO. Unbuilt. 1994 - The David and Beth Glass House, 17 NE Glenbrook Avenue, Bentonville AR. Same owners as of 2014. 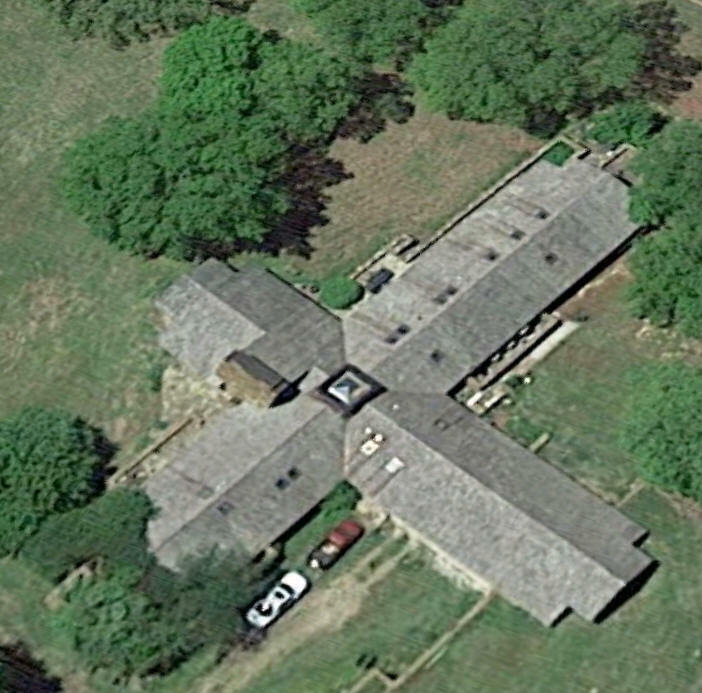 1996 - The Alex McGlinchey House, 8501 South FM 1187, Aledo TX. Commissioned 1977, not built until 1996. It wasn't supervised by Jones and has been greatly altered. Sources include: Catherine Westergaard Cramer.